Much has been written about the springs of the Malvern Hills and the 'water cure' establishments set up in Victorian times. These were the days of the Industrial Revolution, when smoke, fumes, poor hygiene and poor diet were not conducive to good health and many of the medicines prescribed by doctors at that time were potentially toxic and of questionable value. Many 'water cure' establishments were set up in England, Scotland and on the continent, largely based upon the principles developed at Graefenburg in Austria by Vincent Priessnitz; evidence of this can be found, for example, in advertisements, letters, and reports printed in The Times newspaper. Most of the British doctors were qualified physicians but the conventional medical establishment viewed them with great suspicion. Occasionally, following a death, a hydropathic doctor would be prosecuted for seemingly applying the wrong treatment. Many of the doctors published books about hydropathy and some believed hydropathy significantly more effective in treating Cholera than conventional methods. This page, based upon the secondary sources listed below, outlines the principal water cure doctors who practised in Great Malvern between 1842 and 1905, their impact upon the town, where they lived, their families, and what became of them. In particular we include the story of Thomas Rayner MD who took over Malvern's largest water cure establishment following the death of its founder Dr James Wilson in 1867. James Wilson MD, was one of the most prominent water doctors in England. He was born in the parish of Holywell, Flintshire, in 1807 of an Irish father and Welsh mother. His family were well off and may possibly have been involved with the coal mining or smelting industries. His parents died when he was 15, and he trained as a doctor in Liverpool, Dublin and London. He then gained experience in France and Austria (ref 1). About 1840 in Nice, France, he married Clara Kortright. She was the daughter of Cornelius Hendrickson Kortright (1764–1818) and Juliana Margaretta Waltersdorff (1769–1819). After several years living in the West Indies the Kortrights moved to England and bought Hylands House, near Chelmsford in Essex, their home from 1797 to 1814. Clara's nephew Sir Cornelius Kortright became a Governor of British Guiana. 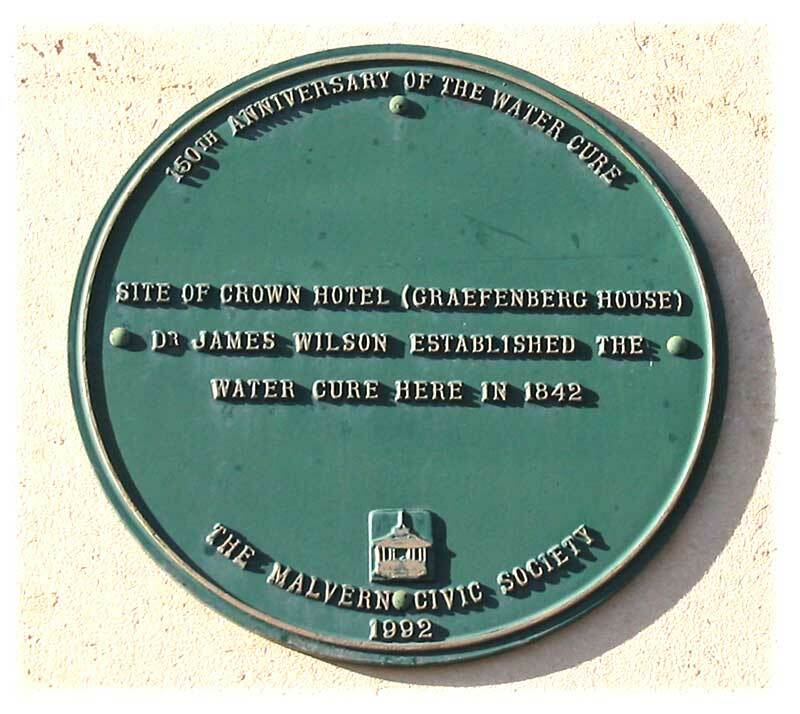 In 1842 Dr James Wilson, with a colleague, James Manby Gully, travelled to Great Malvern to explore the possibility of setting up a hydrotherapy practice. 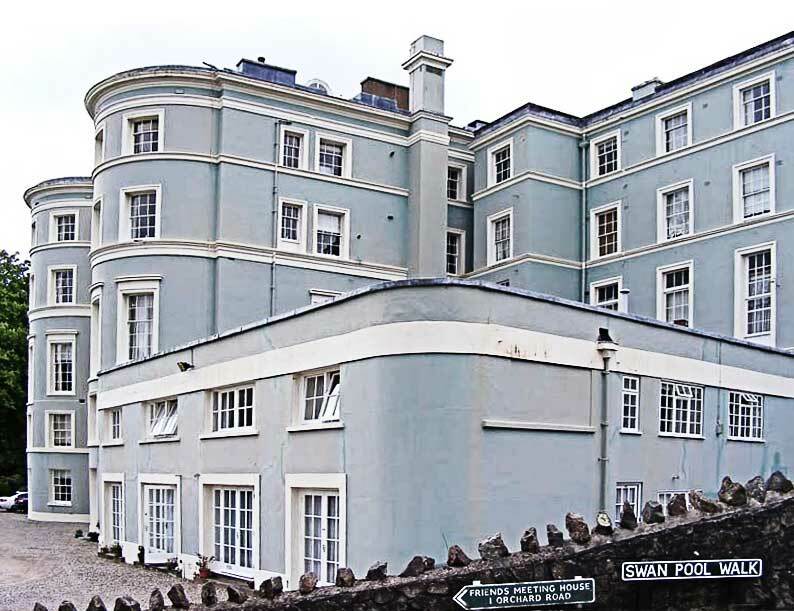 They liked what they saw and were able to take a 21 year lease on the Crown Hotel on Belle Vue Terrace, which was owned or managed by John Archer, who owned the Foley Arms Hotel and later the Abbey Hotel. A plaque on Lloyds Bank, which now occupies the site, commemorates this event. As their business grew, attracting the rich and famous, the doctors decided to dissolve their partnership and set up separate practices in larger premises (ref 2). Dr James Wilson acquired land from the Mason Estate and had built a magnificent Hydrotherapy Establishment which was completed about 1848 (ref 3); this was often referred to as 'The Establishment'; see photo below. Next door, to the south, he later had built a large redbrick hotel, known as Malvern House, and below the Hydrotherapy Establishment, to the east, he had built a home for his wife and children named Grattan House in Orchard Road - in the 20th century Dr Wilson's home was demolished to create the Bowling Green at the south end of Priory Park. Sadly Dr James Wilson died unexpectedly on 8th January 1867 while visiting a hydropathic establishment in Yorkshire. We regret this week to record the unexpected and sudden death of Dr Wilson, which took place on Tuesday last at Ilkley Wells Hydropathic Establishment, Yorkshire. The telegraphic communication of the event arrived in Malvern the afternoon of the same day. Mrs Wilson for whom there will be universal feeling of sympathy was in Essex, where she had been detained by the illness of her brother, who died on the last day of the old year. The Doctor was on a visit to Ilkley Wells with a view to rest and change. Dr Wilson who had made himself familiar with the water-cure at Graefenberg, where he had derived great personal benefits, opened an establishment at Graefenberg House, Malvern, about 25 years ago, when shortly afterwards he united in partnership with Dr Gully. After a brief connection, this partnership was dissolved, and a few years subsequently he erected the palatial establishment in which he resided up to the present period. Dr Wilson largely gained the confidence of his patients and commanded an extensive practice, realizing by his professional exertions a considerable property. His works on the Water Cure have been extensively circulated at home and abroad. The funeral, which will take place on Tuesday or Wednesday next, will be strictly a private one. Janet Grierson relates that Dr Wilson's funeral was held on 16th January and that a full account appeared in the Malvern News on 19th. It was well attended. Sir – The sudden removal by death of any member of a small community or brotherhood is always a circumstance of solemn import to those who remain behind, and one more than usual calculated to intensify in them individually those reflections on the great mystery of life and death, which are perhaps, never wholly absent from even the least heedful of mankind. In this sense the recent loss of our colleague, Dr Wilson, while still in the prime of life, and apparently in the enjoyment of a fair measure of health, must come home to one and all of the small confraternity of hydropathic practitioners with more than ordinary emphasis; but it is from another and more important point of view than any personal one, and with quite different object, that I venture to address you today. To his infinite credit be it spoken, Dr Wilson was the first physician in England who gave hydropathy, as a distinct and reformed system of practical therapeutics, a 'local habitation and a name' in his native land. He did so of course amid the usual storm of ridicule and of interested malevolence that are the natural heritage of all reformers; and, though he had the happiness to live long enough to see a large measure of triumph accorded to his own opinions, partly through the ability of his own writings, and those of others working in the same field with him; partly also, as always happens, through the gradual prevalence of truth as a never-failing law, yet in estimating Dr Wilson's services to medicine, his name must imperishably be associated with it; and the reflection borne in mind that, but for his initiative, its introduction into England might at any rate have been delayed for several years. Such a service it is almost impossible to estimate aright in all its bearings at once, on the cause of science and the public welfare. The time has assuredly not yet arrived when any semblance of justice is likely to be rendered to the influence of the introduction of hydropathy on the medical art, but even the most superficial observer must have remarked how strongly the practice of the day has been modified by it, and what is perhaps even of greater importance, how largely it has operated for good on the habits of the modern Englishman in teaching those of lesser temperance, self-denial, and activity, which go to harden the fibre of the individual first, and then to raise the general physical stamina of a whole race. And if the Englishman's now almost typical 'cold tub' is allowed to have produced any of these results, candour will place this in a large degree to the credit of hydropathy, which unquestionably gave the first impetus to this grand manly habit. To have contributed, even less directly, to such results as these, might well have satisfied the ambition of most men, and no one had a better title than Dr Wilson to feel that he had left his mark distinctively on his age. He was well entitled to say with Horace 'exegi monumentum aere perennius;' and it is certain that hydropathy, established unshakably in our England, is itself by far his proudest and most enduring monument. But it seems to me, nevertheless, that this does not absolve us from the grateful duty of marking by some outward tribute of respect our sense of the eminent services rendered by the deceased. What form that tribute should precisely take, I leave for further consideration; but anything in the form of a public monument, however simple in construction, which should be erected to his memory in that beautiful Malvern where Wilson first established hydropathy, and then with the help of other, as sincere and able as himself, made it a practical success, would it seems to me, be peculiarly appropriate, and I am confident that a subscription opened for this purpose would be gladly seconded not only by his fellow practitioners, but by numberless persons who, having been restored from sickness to health through the agency of hydropathy, must needs regard him who introduced it into England as a public benefactor. – I am, sir, your obedient servant. Sir - The letter of 'A Hydropathic Practitioner' which appeared in your last issue will, I am sure, meet with public approval; and the suggestion which it contains will be practically carried out through the contribution of many a grateful convalescent. My own acquaintance with Dr Wilson is of comparatively recent date; but I cannot shut my eyes to what he has effected by force of character and earnestness of conviction. In addition to the graceful tribute borne by Dr Gully to his memory, the extraordinary progress of this town is a powerful witness to the success of his efforts. It may indeed be said of him as of Sir Christopher Wren (architect of St Paul's Cathedral) Si monumentum quaeras circumspice. The practice was taken over by his son, and Dr Thomas Rayner (see more about below) who took a lease on the Hydropathic Establishment; nowadays it is a block of apartments known as Park View. Dr Wilson's wife, Clara, died at 45 Harewood Square, London on 3rd May 1888 while staying with her daughter. The register of Great Malvern cemetery records she was buried with her husband on 7th May 1888 aged 83 years. James and Clara had two children, Henry Grattan Wilson (1842-1881) and Clara Constance Wilson (1845-1896); both relatively short lived. Henry Grattan Wilson like his father became a Physician and MRCS. After his father's death he went into partnership with Thomas Rayner MD, but the partnership was dissolved a year later on 29th September 1868, leaving Thomas to run the 'Establishment' (ref 4). Henry did not marry and died aged only 39 years in Tunbridge Wells, Kent; he was not practising and we wondered if he was a victim of tuberculosis. Clara Constance Wilson was born in Malvern about 1845. In 1876 she married Aubrey Beauclerk Lennox St John, born 1846, Melbourne, Australia, the son of Major George Frederick Berkeley St John and Henrietta Louisa Maria Jephson, daughter of Revd Jephson. Clara may have met Aubrey at a ball at the Imperial Hotel built 1861 where he was secretary and later chairman of the Malvern Hotel Company. Aubrey was the grandson of General Frederick St John who was briefly MP for Oxford. Aubrey and Clara had one son, James Frederick St John, born at Monmouth in 1881. In 1909 James married his cousin Henrietta St John, daughter of civil engineer Henry Augustus Bolingbroke and Anna Henderson. It is thought Anna was the daughter of a major in the Indian army. Clara Constance Wilson died at 15 Kensington-Crescent, London in 1896, and her husband Aubrey in Ontario, Canada in 1917. 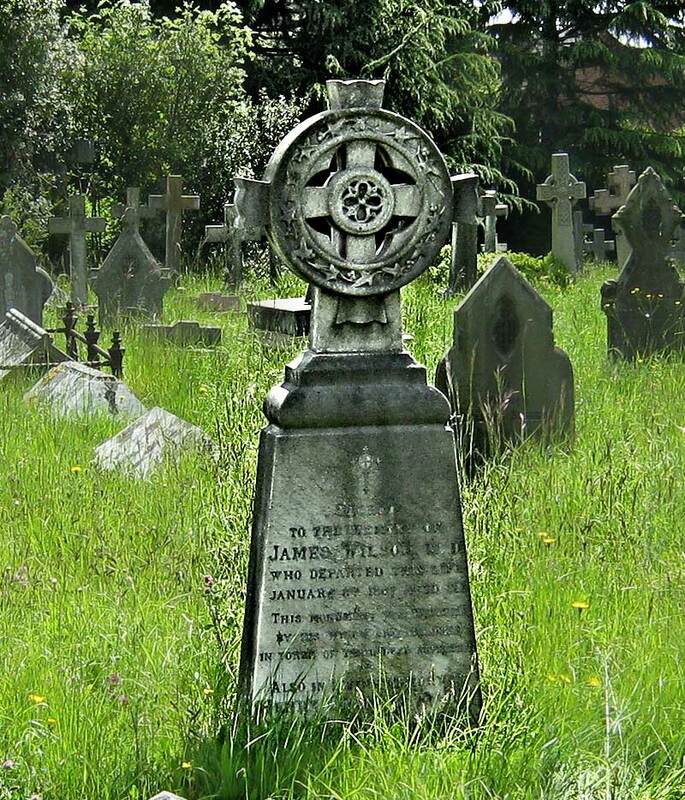 Sacred to the memory of James Wilson MD who departed this life January 8th 1867 aged 59. This inscription was erected by his widow and children in token of their deep affection. Also in loving memory of Henry Grattan Wilson only son of the above who died May 6th 1881 aged 39. 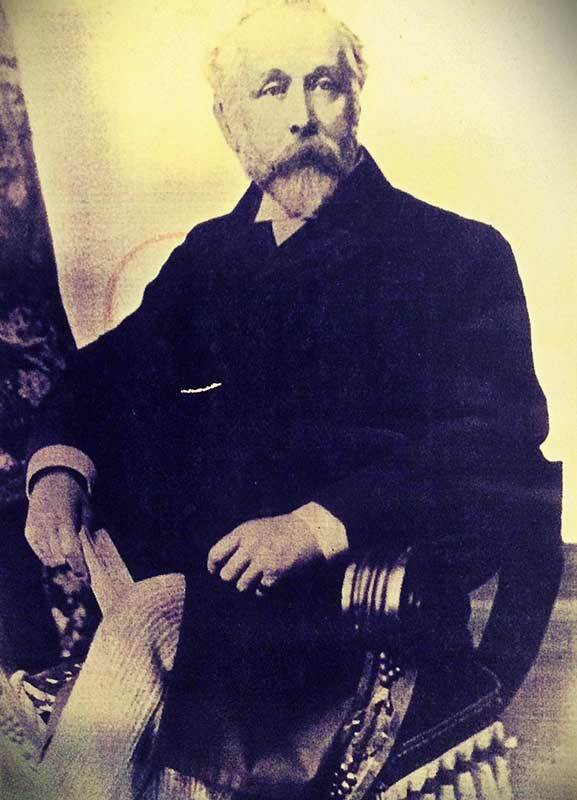 Dr James Wilson led the development of Hydropathy in Great Malvern in the 1840s, which resulted in the expansion of Malvern as a health resort, the building of numerous lodging houses and villas, creating business for architects, builders, tradesmen, hoteliers and shopkeepers alike. Park View and Malvern House in Abbey Road, now apartments, remain standing as monuments to his hydropathic business. Dr Wilson's home, Grattan House in Orchard Road, stood on the site of the Bowling Green which lies immediately below Park View on the south side of Priory Park. 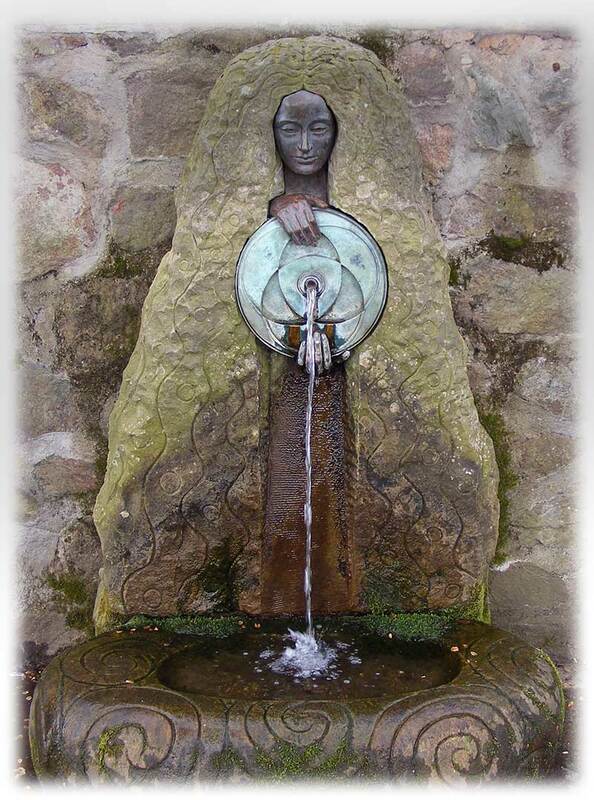 By the 1960s the 'water cure' had been largely forgotten, but it has been raised to consciousness again by Malvern Civic Society and authors such as Janet Grierson, Cora Weaver and Dr Harcup. A memorial fountain to James Wilson had been erected in Abbey Road in 1877. Arrangements for its maintenance and the water supply to the drinking fountain were never firmly set in place and in consequence it sadly fell into disrepair and was demolished in 1948. 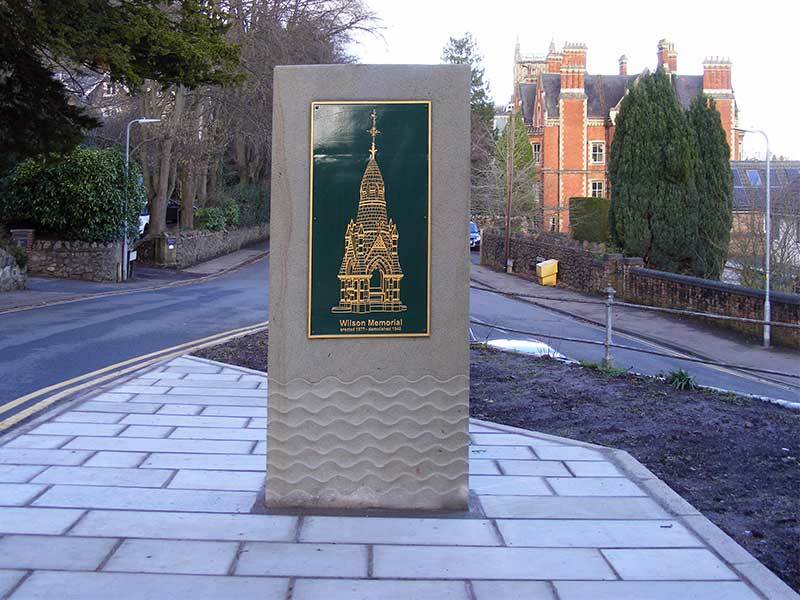 In 2015 a new memorial was erected at the junction of Abbey Road with Priory Road, by Malvern Civic Society, ready to mark the 150th anniversary of Dr Wilson's death in 2017. 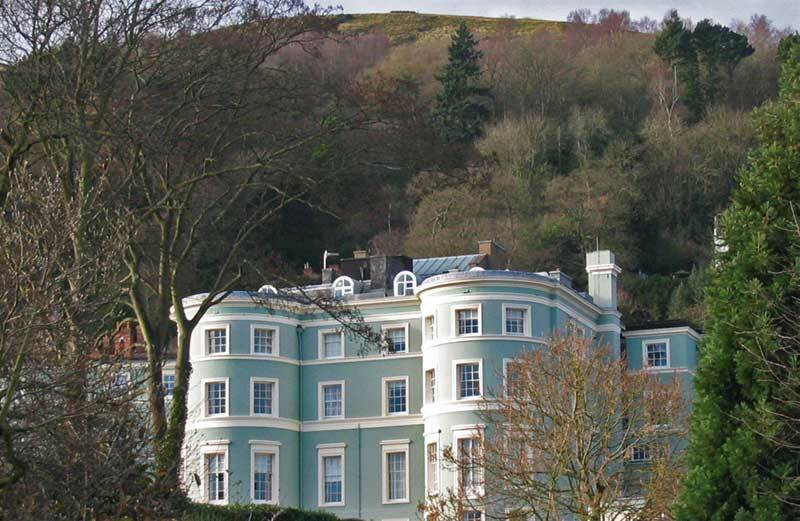 Malvern House, which was built for James Wilson to accommodate water cure patients, can be seen in the background. 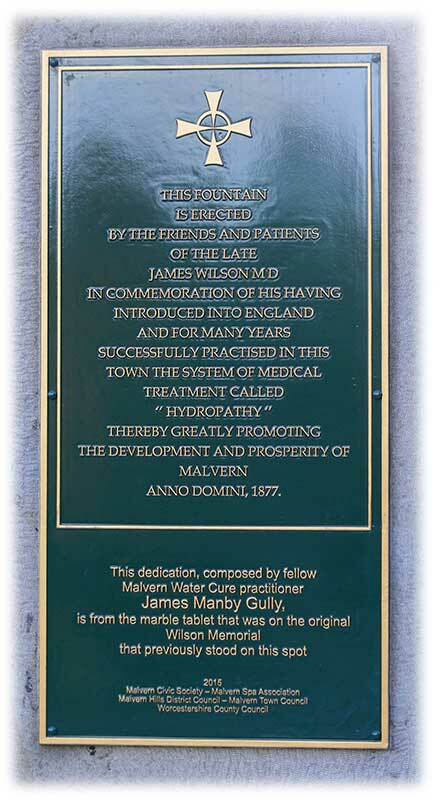 This fountain is erected by the friends and patients of the late James Wilson MD, in commemoration of his having introduced into England and for many years successfully practised in this town the system of medical treatment called 'Hydrotherapy' thereby greatly promoting the development and prosperity of Malvern Anno Domini 1877. This dedication, composed by fellow Malvern Water Cure practitioner James Manby Gully is from the marble tablet that was on the original Wilson Memorial that previously stood on this spot. Malvern Civic Society - Malvern Spa Association - Malvern Town Council - Worcestershire County Council. Dr James Manby Gully came to Great Malvern as the business partner of Dr James Wilson. When they decided to dissolve their partnership he set up his own hydrotherapy practice at Holyrood House, and the Haywell Baths next door, on the Worcester Road; opposite the south end of Rosebank Gardens. To accommodate his expanding business he had the Tudor House built next door (originally named Newby House). 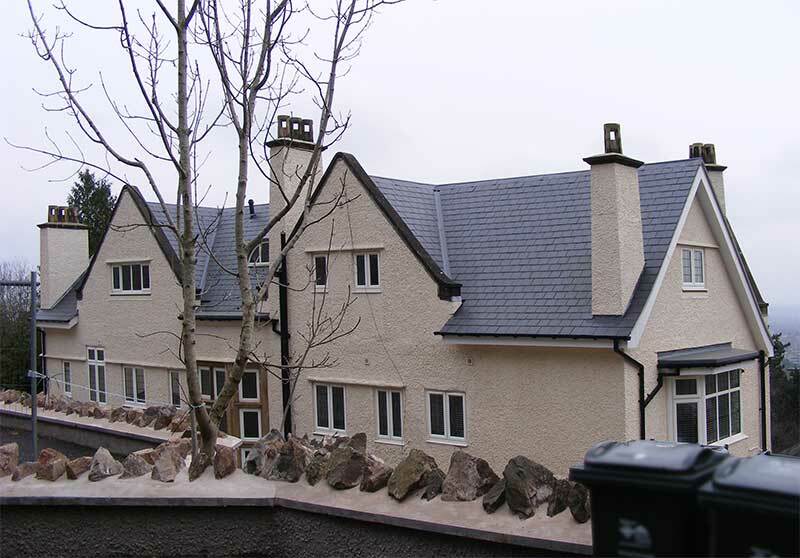 The photo below shows Tudor House after building work had been completed to convert the accommodation from a fire damaged hotel to modern apartments. Note the fine chimneys and viewing towers at the rear. Largely concealed behind the tree on the left of the photo is Holyrood House. About 1846 James Manby Gully had published 'The Water Cure in Chronic Disease'. An advertisement for the book appeared in The Times on Thursday Feb 24th 1848. Malvern Wells - The Old Well House will be opened as a Hydropathic establishment for the reception of patients the beginning of May 1857. Resident physician Dr Ayerst to who all applications for terms and conditions are to be made. Dr James Smith Ayerst retired from his practice at Wells House about 1868, and the property then became a boys' school. He died at Torquay in 1884. 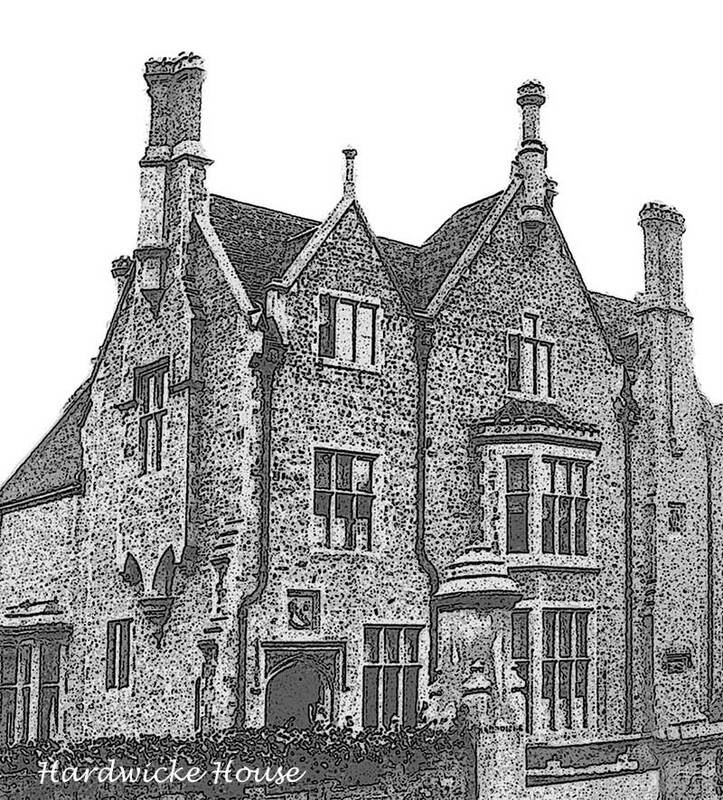 In 1864 Dr Fernie joined Dr Gully and took over the practice at Tudor House when Dr Gully retired in 1871. Both men were prominent in town affairs. Dr James Manby Gully, born in Jamaica in 1808, was the son of plantation owner Daniel Gully who died in 1823. A copy of Daniel's Will is held by The National Archives. His first wife, Frances Court, by whom he had three children, tragically died of smallpox in 1838, and he came to Malvern in 1842 accompanied by two sisters Ann and Ellen. They made their home at a house named The Priory, in Priory Park which, after Dr Gully left Malvern, was demolished to make way for Priory Park Mansion, now occupied by Malvern Hills District Council. Dr Gully was said to have been very personable, attracting rich and famous clients. He had married second in 1840, Frances Kibble, from whom he separated soon after their marriage. Approaching retirement, Dr Gully is said to have been attracted to a young married patient named Florence Ricardo nee Campbell, with whom, after her husband's death, he was later to have an affair (ref 5). Florence was the wife of Augustus Louis Ricardo, late Captain Grenadier Guards, who had become an alcoholic and died in Cologne in 1871. In 1861 Ricardo had played cricket for Hampshire against the MCC and was the son of MP John Lewis Ricardo (1812-1862). John Lewis Ricardo seems to have been an important and influential businessman and it is sad that his only son Alexander came to an unfortunate end. 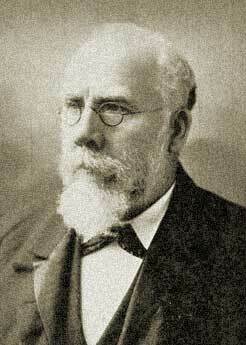 John Lewis Ricardo formed a consortium which established the Electric Telegraph Company in 1846. Initially lines were run besides railway tracks; it was not until the late 1870s that the Telegraph reached Malvern. 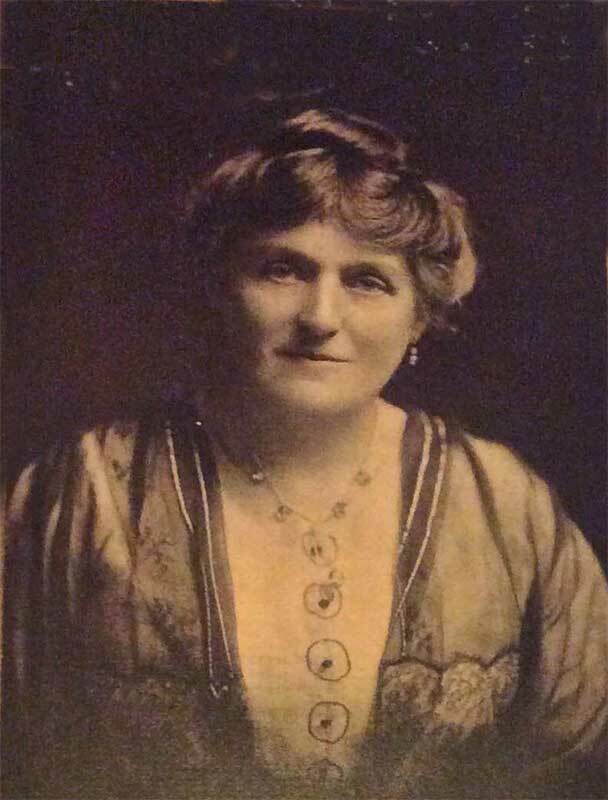 Florence, born Sydney Australia in 1845, was the daughter of Robert Campbell, who in 1881 was recorded as a gentleman farmer of 1,500 acres living at Buscot Park House. After her affair with Dr Gully, Florence married second in 1875, Barrister, Charles Delaney Turner Bravo, who died of poisoning only a few months after their marriage in 1876. Dr Gully was called to give evidence at the inquest, which exposed his past affair and sadly this brought him humiliation and deletion of his name from the medical register. Florence herself died soon after in 1878 aged only 33 years; probably from alcoholism. Dr Gully who had retired from Malvern to London in 1871 died at Orwell Lodge, Balham in 1883 aged 75 years. Perhaps he named this house after Orwell Lodge in Great Malvern where his mistress, Florence, had resided (ref 5). In Memory of James Manby Gully MD, formerly of Great Malvern. Died Apr 1838 aged 33 years. Sarah Gully daughter of Daniel Gully Esq of Sheffield, Jamaica. and sister of the above JM Gully Died September 1852 aged 40 years. Born 6th September 1815 Died 1st March 1880. Perhaps the inscription was devised by his youngest son and executor, William Court Gully QC. Apart from Frances who died an infant all children made good marriages and had issue. Little is known about Charles except that he is thought to have married in New Zealand in 1857 and died in Italy. In 1856, Susannah married William Henry Jeffcock (1832-1863). by whom she had 5 children. William Henry Jeffcock, the grandson of a colliery owner, was the son of William Jeffcock (1800-1871) and Judith Stobart. William Jeffcock senior is said to have been the first Lord Mayor of Sheffield and commissioned the building of High Hazels House in 1850. William Court Gully, like his father, made his mark in society. He was educated at Cambridge, was President of the Union, Barrister at Law, Queens Counsel, MP for Carlisle 1892 - 1905, and Speaker of the House of Commons 1895 to 1905. Created Viscount Selby in 1905. He married in 1865 Elizabeth Anne Walford Selby by whom he had 6 children. Dr Gully's main legacy is that, with Dr Wilson, he is credited with the expansion of the water cure from 1842 through to about 1871. The buildings named Holyrood and Tudor House where he established his hydrotherapy practice still exist and have been converted into apartments - the site of his Bath House is now occupied by the Baptist Church. History also records his affair with Florence Ricardo in the form of newspaper reports of the poisoning of her second husband Barrister Charles Delaney Turner Bravo in 1876 and the subsequent investigation. As described above, his son William Court Gully went on to become an MP and a Speaker of the House of Commons, in spite of the bad publicity which arose from his father's affair with Florence Ricardo. When Dr Gully retired, his assistant Dr William Thomas Fernie MD (1830-1914) took over the practice at Tudor House. Dr Fernie was the son of clergyman John Fernie who in 1861 was Rector of Yelden. His elder brother John became a clergyman and his younger brother Andrew became a Physician. Possibly Dr Fernie's eventual move from Malvern to London had something to do with his brother Andrew's premature death in 1884. Trade directories from 1879 record Elijah Finn as the proprietor of the Tudor House Hotel and the Haywell Baths; he had previously been a boarding house keeper at Hardwicke House. Elijah Finn died at the Tudor House in 1886; whether Dr Fernie had continued to supervise the water cure patients between 1879 and 1886 we do not know. Dr W T Fernie had no children of his own by either his first wife Emma or his second wife Jane Adele Graves who he married at London in 1891, but he had several nephews and nieces. In 1901 his nephew (Private) Maxwell Fernie died of fever in South Africa during the Boer war. Few people remember the name Dr W T Fernie today, but, according to Dr Harcup's excellent book 'The Malvern Water Cure' (ref 2), he was Chairman of the Assembly Rooms and Pleasure Gardens Company which built the glass covered Assembly Rooms, the predecessor of the present theatre complex. He was also interested in the use of herbal remedies and published, for example, 'Herbal Simples' in 1897. By the time Dr Fernie left Great Malvern and Elija Finn had died, the water cure was probably on the wane as the Tudor House then became a hotel (ref 6) and, not long after, the Baptist Church was built on the site of the Haywell Baths. Whereas I am the owner of one third share of an Hotel and the business of an Hotel Keeper at Malvern carried on in partnership with the Misses Brown under the style of Brown and Buckingham I especially authorise my trustees to concur in winding up the business of Brown and Buckingham or any other business in which I may be a partner at the time of my death - will dated 16th December 1896. The 1891 census shows James Buckingham and his wife Sarah Elizabeth (Seaman) managing the Tudor Hotel. He was born Long Marston, Buckinghamshire about 1839, and earlier the 1881 census had described him as a Dairyman employing six men and two boys, living in Hampstead. He seems to have died at Hampstead in 1900 where his children may have continued to run the family Dairy business. Both in 1891, 1901 and 1911, at the time of the census, there were relatively few visitors compared to the number of servants. Perhaps visitors mostly came in the summer but one wonders whether the business made much money. We have recently come across an excellent and well researched biography of Dr Grindrod, written by Janet Grierson, which can be found in the Local Reference section of Malvern library (ref 7), and to which you should refer for a fuller account. Dr Ralph Barnes Grindrod (1811-1883) was an orthodox physician, and vigorous promoter of the Temperance movement, who came to Malvern about 1850. He was the son of James Grindrod who, in 1851, was a Manchester publican. His eldest brother Thomas William Grindrod was a surgeon and his brother James Newton Grindrod was a restaurateur. On 30th August 1837 at the Collegiate and Parish church Manchester, the forerunner of Manchester Cathedral, physician Ralph Grindrod married, Mary Whiteley Hull, the daughter of a Worsted Dealer. They had one son Charles Frederick Grindrod (1847-1910) who was the author of 'Malvern What to See and Where to Go'. 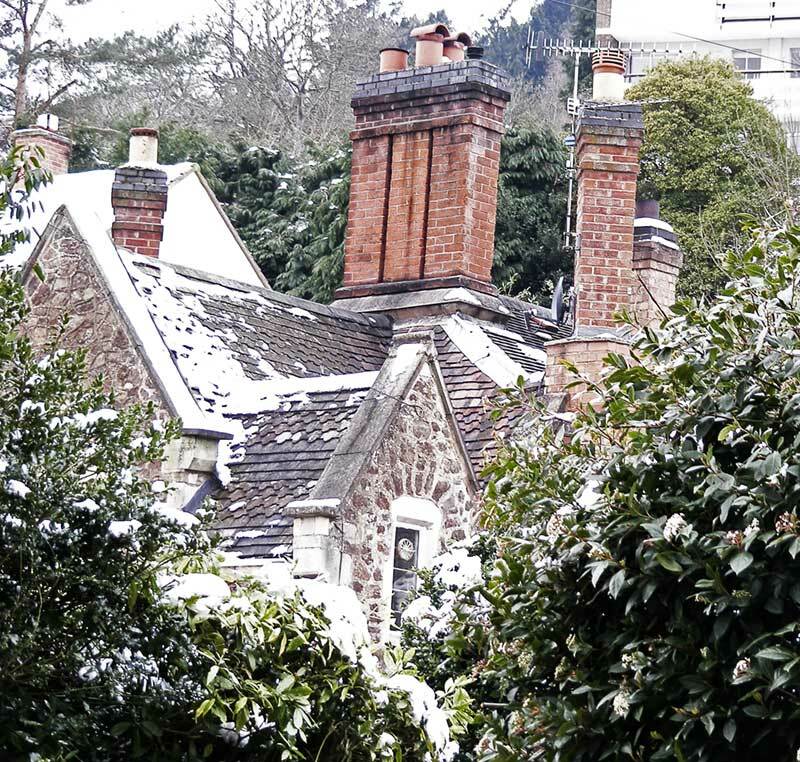 In 1850, Ralph Grindrod moved his practice from Manchester to Townshend House in Great Malvern (see photo below) and we wondered how the name Townshend House arose. One possibility is that the name related to the house then being at the 'end of the town'. (Interestingly there is an Arthur Edward Townshend died October 23rd 1927 buried in Malvern cemetery, who was of a wealthy Irish family and probably retired to Malvern after 1913, so not a connection). Townshend House, possibly built in the 1840s, still stands next to St Edmund's Hall near the NE corner of College Road. 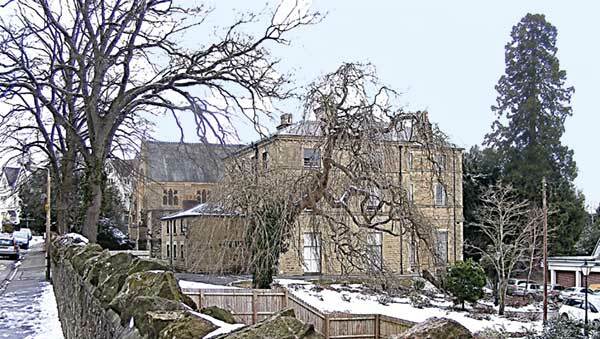 See photo below, which shows a side view of the house and a glimpse of St Edmund's Hall beyond. 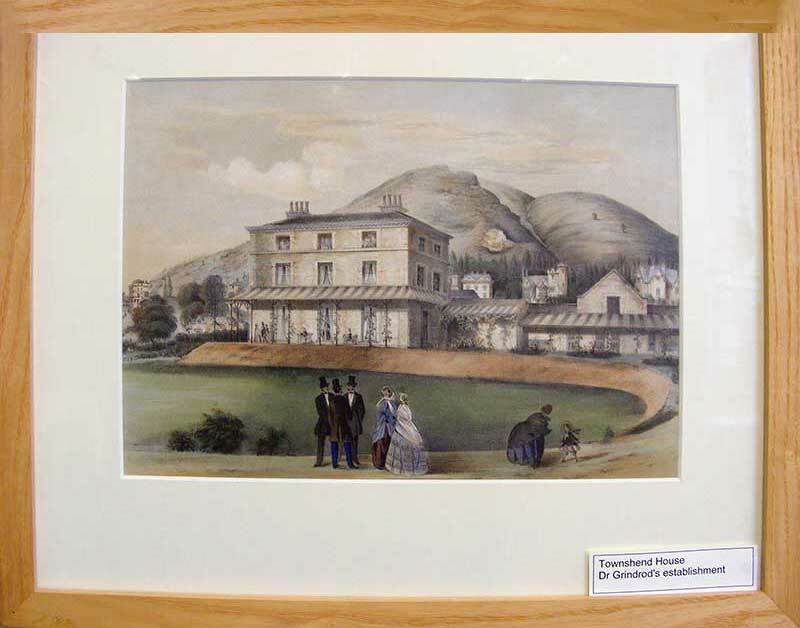 A picture in Malvern library (see image below) suggests the house used to have a large rear garden where patients and visitors could promenade. Mrs Grindrod is said to have held a four day bazaar there to help raise funds for the building of the Lansdowne Methodist Church which opened in 1866. 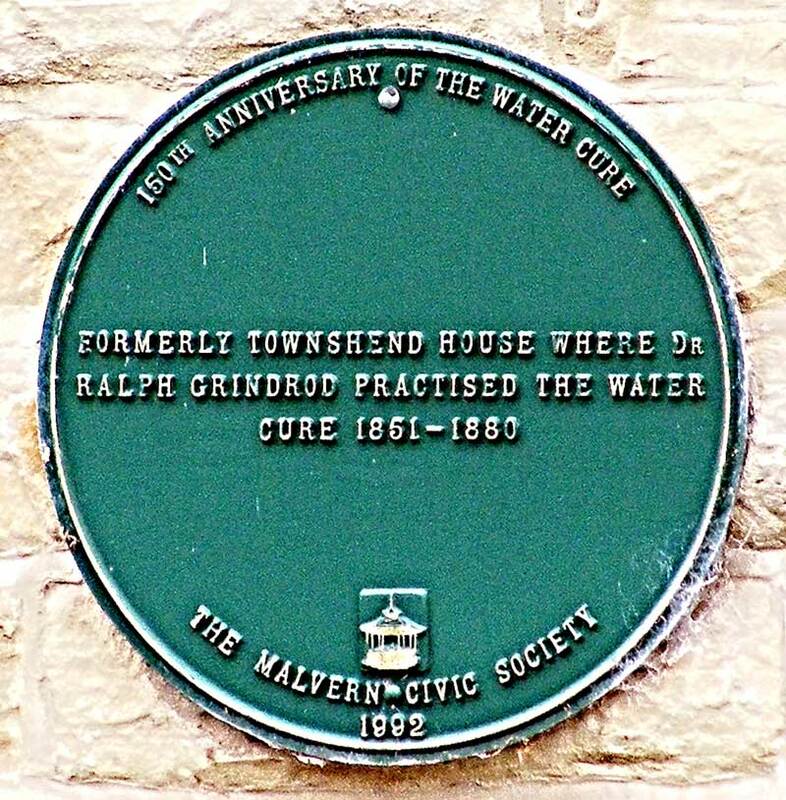 Dr Grindrod lived at Townshend House, from 1850 to 1880, where he practised the water cure besides other treatments. 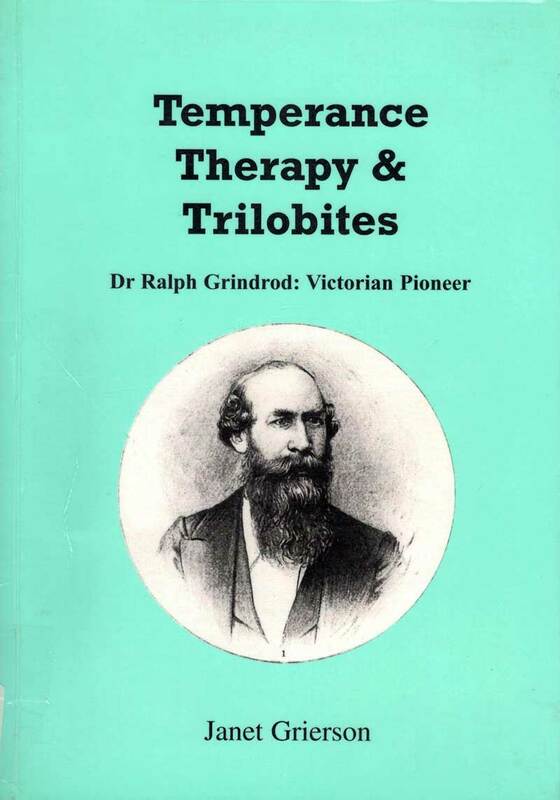 Called the medical apostle of Temperance, Dr Grindrod is said to have spent a considerable amount on efforts to promote the Temperance movement. In 1833, he may have been the first medical man in England to sign the total abstinence pledge. Perhaps he had observed the damage drink could do during visits to the sick in Manchester. Dr Grindrod wrote books, promoted the education of the children of the poor, analysed local water supplies and was a member of the Town Board. In 1855 he had founded the Malvern Advertiser newspaper which he passed on to John Sloggett Jenkins in 1867 when he began finding it difficult to run the newspaper in addition to his medical work (ref 7). As a Methodist, John Slogget Jenkins would have been a teetotaller, like Dr Grindrod. About 1861 Townshend House was extended by Edward C Allflatt, Architect and Surveyor, (1832-1890) of Leigh in Worcestershire, and the 1861 census records Dr Grindrod boarding at Dr Wilson's Hydropathic Establishment in Abbey Road (now Park View). Circa 1871, Dr Grindrod introduced a new and unique form of treatment in Malvern known as the Compressed Air Bath or Hyperbaric Treatment. In this the patients sat comfortably in a room where the pressure was gradually increased to about one and a half atmospheres and then back to normal over an hour or so. It was said to help chest conditions. By 1881, Dr Grindrod had retired due to ill health and Townshend House was rented by widow Mary Bramwell aged 86 born Penrith, Cumbria, and two of her daughters. In 1861 she had been living at historic Hardwick Hall in Derbyshire with her husband Christopher Bramwell, a Wine Merchant and Magistrate. Also living at Townshend House in 1881 was George Nurse, a 'bill poster'. 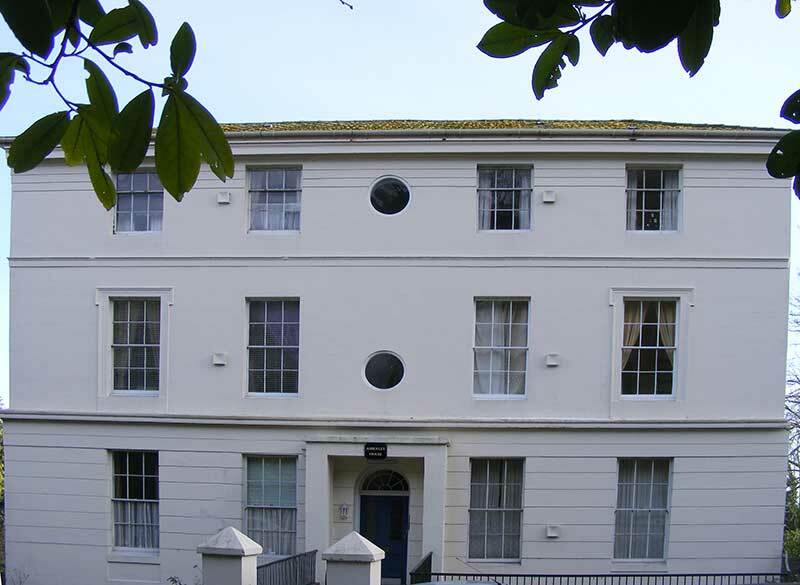 The 1881 census recorded Dr Grindrod as a retired medical practitioner living not far away from Townshend House at Montpellier House in Albert Road North, which later became a school, and is now Ivydene, recently modernised and converted into apartments. Townshend House was eventually sold about 1886 to schoolmaster Rev William Walker (1838 - 1915), who opened Connellan College, a prep school for boys, there in 1888. The school was probably named after Rev Walker's wife Bedelia Anna Connellan whose family came from Sligo in Ireland. Connellan College prep school was short lived for Rev Walker moved on in 1890 to become headmaster of Thorp Arch prep school in Yorkshire. The remains of the name 'Connellan' can still be seen at the top of one of the gate pillars (see photo below). The census records that Connellan College next became a small Roman Catholic monastery and, in 1901, that Townshend House had been renamed Connellan. The history of the Roman Catholic community in Malvern is obscure, but it appears the college had been founded for Benedictine monks who were unwelcome in France. 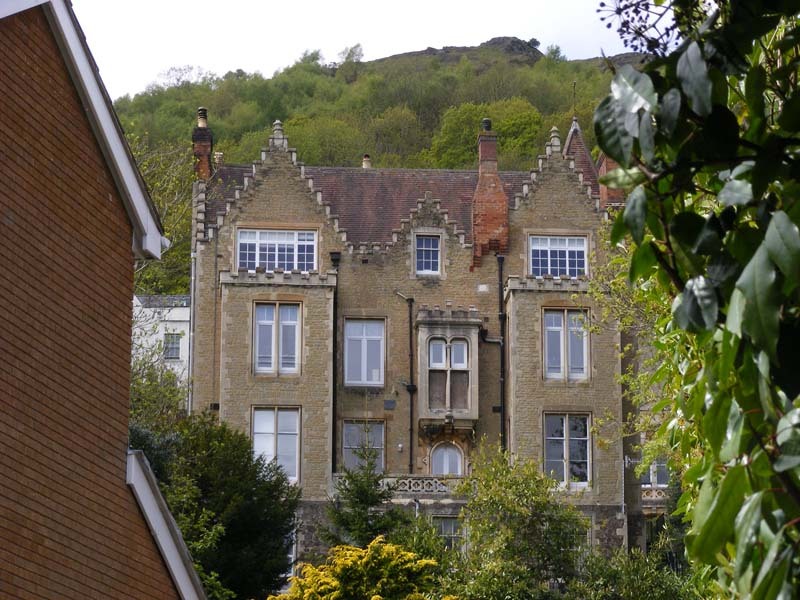 The monastic college had connections with the management of St Joseph's church and school in Newtown Road, but eventually the college moved from Malvern for financial reasons, and in 1918 the property was acquired by Malvern College. The photo of 'Townshend House' below was taken from near the entrance pillars. 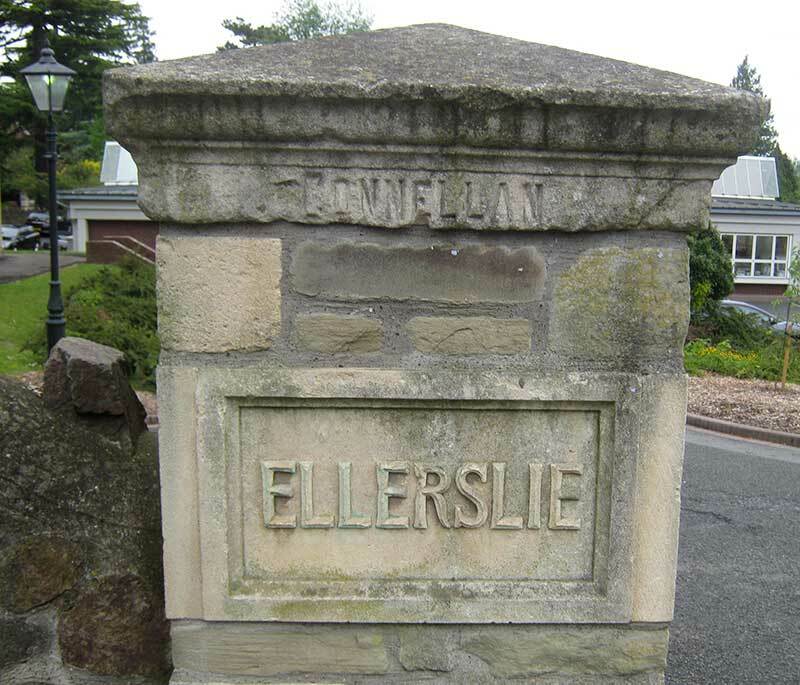 On the left hand gate pillar (see photo above) the inscription 'Ellerslie' has been added, circa 2010; this relates to the move of Ellerslie Girls' School in Abbey Road to Malvern College. On the front of 'Townshend House' can be seen a green plaque, placed by Malvern Civic Society. Ralph's son Charles Frederick Grindrod became a physician like his father and lived in Malvern Wells until his death in 1910. At one time he was a neighbour and friend of Edward Elgar. He was a keen photographer and took a portrait photograph of Elgar about 1903 which was gifted to the National Portrait Gallery in 1934 by Elgar's friend, architect, Arthur Troyte Griffith (who is mentioned in the Enigma Variations). Charles lived at Wyche-Side on the Wells Road, and Elgar nearby at Craeglea, now number 86. Charles, like his father, was a writer and was the author of 'Malvern What to see and Where to go' (1899). He married Mary Ellen Higgins, but they had no children. Click to read our short biography of Dr Grindrod, which includes his obituary. Dr James Loftus Marsden MD (1815-1891), born Dublin, was the son of Captain James Marsden (1777 - 1841), 7th Dragoon Guards, and Worcestershire-born Harriett Long (1781 - 1865), the daughter of an attorney who married at Worcester in 1801. His parents maintained an attachment to Worcestershire and their eldest son Frederick Carleton Marsden, who pursued a military career, was baptised in the district of Upton Upon Severn. According to Malvern Museum (ref 8) and his will (ref 9), the family owned 'Rose Cottage' at Barnards Green, Malvern; this was a large house which stood behind the present bus shelter on the corner of Avenue Road. Rose Cottage was renamed 'The Chestnuts' circa 1920 and demolished in the 1960s in order to built the block of flat-roofed apartments now known as 'Chestnut Court' (ref 9). When Captain James Marsden died in 1841 the family was living at The Palace, Kempsey, and Rose Cottage was rented out. He was buried at All Souls Cemetery, Kensal Green on 23rd August 1841; Kensal Green Cemetery had been established in 1833 under the auspices of the General Cemetery Company by act of parliament. Great Malvern Cemetery did not open until 1861. Captain Marsden's widow, Harriett, and their surviving daughter then moved to Cheltenham where Harriett died in 1865. 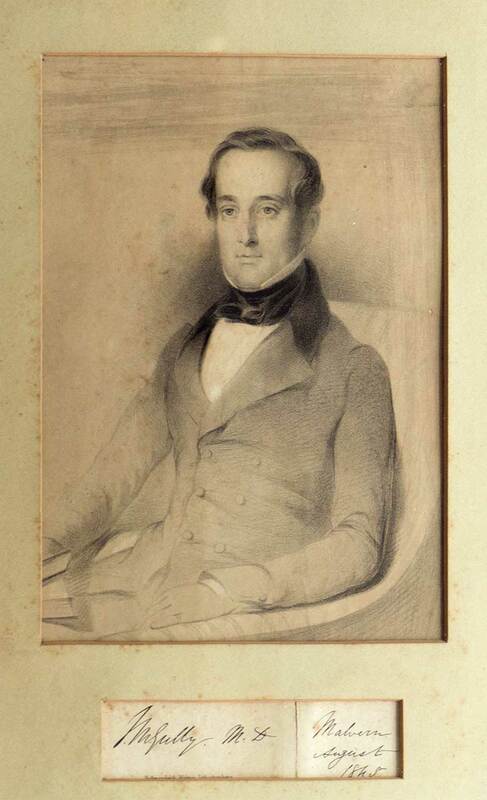 Earlier, in 1838 at Cheltenham, Dr James Loftus Marsden had married Lucy Frances Rashdall, the daughter of deceased Lincolnshire solicitor Robert Rashdall, and about 1846 he moved with his family to Malvern to work with water-cure Dr James Manby Gully. It was an area he knew well. Meanwhile younger brother John Long Marsden born at Cheltenham about 1820 pursued a military career with the 8th Regiment of Foot; Ensign 1837; Lieutenant 1839; Captain by purchase 1843. Sadly Captain John Long Marsden died at Karachi, Bombay, India where he was buried on 16th October 1848 aged only 27 years. In 1849 Dr James Loftus Marsden published 'Notes on Homoeopathy' which was reprinted as a second edition in 1856. He was a supporter of the Royal London Homeopathic Hospital founded in 1849, and gave a lecture 'The Action of the Mind on the Body' which can still be found in booklet form. In those days we imagine mild Homeopathic remedies, although having no scientific basis, probably killed fewer patients than traditional medicines! Tragically his wife Lucy Marsden died in childbirth in 1847 and she was buried in the churchyard of Great Malvern Priory (see photo of memorial opposite). Lucy was the aunt of Oxford theologian Hastings Rashdall and sister of Revd John Rashdall who was vicar at Great Malvern Priory between 1850 and 1856. 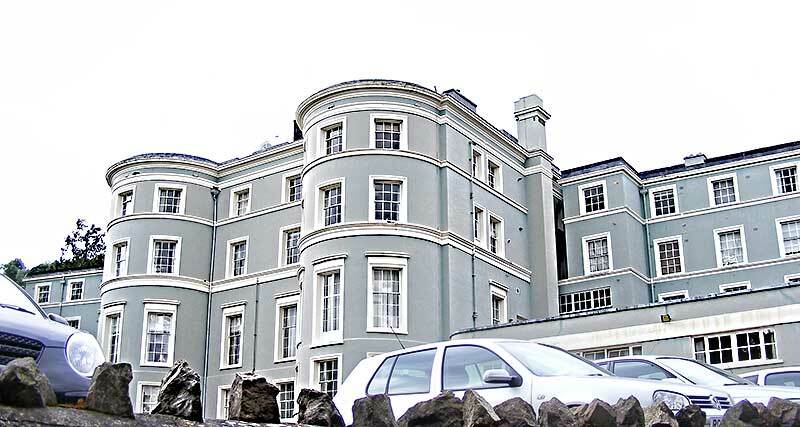 Upon arrival in Malvern, Dr Marsden had initially rented accommodation at Abberley House (ref 10). The house still stands, see photo left, and is numbered 56 Worcester Road. 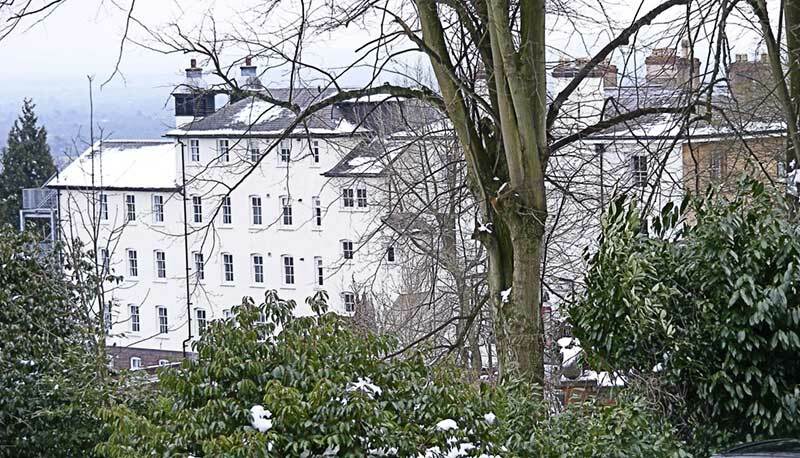 By about 1850, and following his father's death, James had acquired land on the east side of Abbey Road on which he built his own water-cure establishment comprising Hardwicke House (1851), and Elmsdale (1853) next door, with large gardens, and a purpose built Bath House on the slope below, on the edge of what is now College Road. The 1871 census recorded Hardwicke House as a boarding house kept by Elijah Finn and his wife Mary, who either were employed by Dr Marsden, or leased the property from him. Earlier, in 1861, Elijah, born Kent about 1827, had been recorded as a servant at Great Malvern Vicarage. The vicar of Great Malvern Priory was then the Revd George Fisk who had led the funeral service of Dr James Wilson of the Hydropathic Establishment on 16th January 1867. Revd George Fisk is buried on the SE corner of the chapel of Great Malvern Cemetery not far from James Wilson. Apart from photographs and illustrations, there is no trace of the original Hardwicke House now. In the 1960s, the building (see illustration opposite) eventually fell into disrepair and was demolished about 1965. The photo below, taken from College Road, shows the east side of the modern Hardwicke House which overlooks the Severn plain. The 1861 census recorded Dr Marsden's children living at North Abbotsfield, on the other side of Abbey Road where Dr Marsden lived with his second wife Mary, when not touring abroad. This is now number 14 Abbey Road (see photo below). Elmsdale was built next door to Hardwicke House about 1853 possibly to a design by architect Samuel Sanders Teulon. It has stepped gables with a two storey balustraded porch, and a north tower sporting a broached spire. On either side of the porch is the letter 'M' and over is a shield with a unicorn. A feature on the tower seems to be three swords or some such decoration set into the stonework. We wonder how successful Dr Marsden's water cure business was, as by 1857 Elmsdale was let to Caroline Cooper who ran a school for young ladies. The 1871 census and Littlebury's Directory and Gazetteer of 1873 record that Elmsdale then became 'The Ladies College' run by Mrs Rachel Rose Gilbert, which was listed in the publication 'Schools for Girls and Colleges for Women' published by Charles Eyre Pascoe in 1879. In 1867 James Loftus Marsden became a Freemason, joining Royds Lodge. 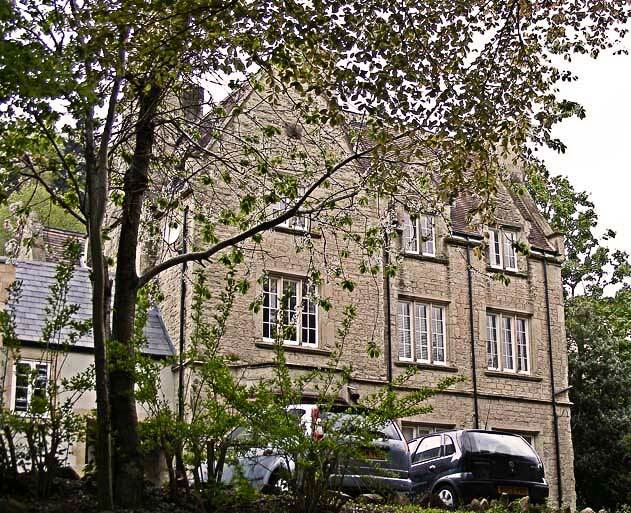 After Dr Marsden retired the 'Bath House' became a Masonic Hall, but is now a private residence aptly named Royds Lodge (see photo below taken from College Road). The Masonic Lodge moved to larger premises on Belle Vue Terrace, where it is today. Dr Marsden had married second in 1852 at Edinburgh a Scottish lady named Mary Lyon Campbell by whom he had a daughter Isabella who died unmarried in 1887 aged only 33 years. Mary Lyon Campbell was the sister of Isabella Campbell who had married the son of a famous man named Lachlan MacQuarie. Major General Lachlan MacQuarie had been the governor of New South Wales from 1810 to 1821. He was a benevolent man and considered by many to have been the 'father' of Australia. Dr Marsden left Great Malvern and retired to London about 1875 seemingly to pursue an affair with his mistress Sabina Amanda Welch, the daughter of a 'Bath House Attendant' by whom he had a daughter Ellen Amy, born in 1879. He set up his mistress as a lodging house-keeper at Felix House, Brixton Rise, Lambeth. 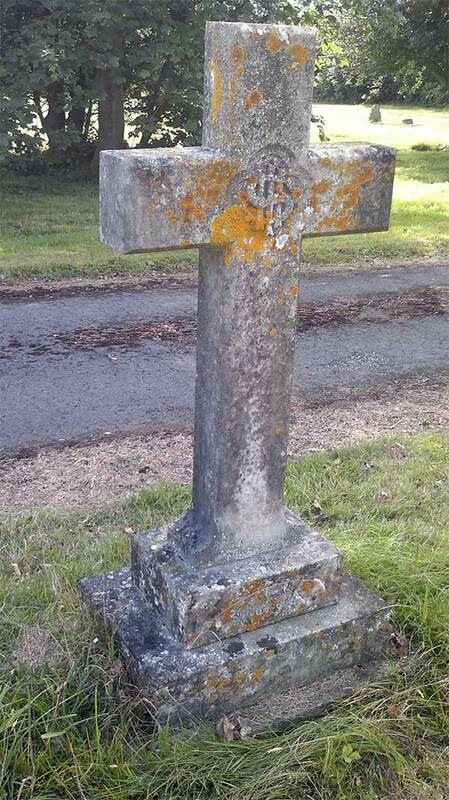 Doctor James Loftus Marsden, an exponent and practitioner of Homeopathy and the Water Cure, died at Elmswood, Ashburnham Road, Hastings on 6th February 1891 and was buried in Hastings Cemetery on 12th February next to his daughter Rosa Sydney Marsden (ref 11). Sadly Rosa Sydney Marsden died at St Leonards in 1877 aged only 34 years from an overdose of medicine (ref 10). In August 2015 the Friends of Hastings Cemetery very kindly located their grave from the register of burials and sent a photograph (see opposite). The location is numbered DE U17. On the third face there appears to be a religious inscription. 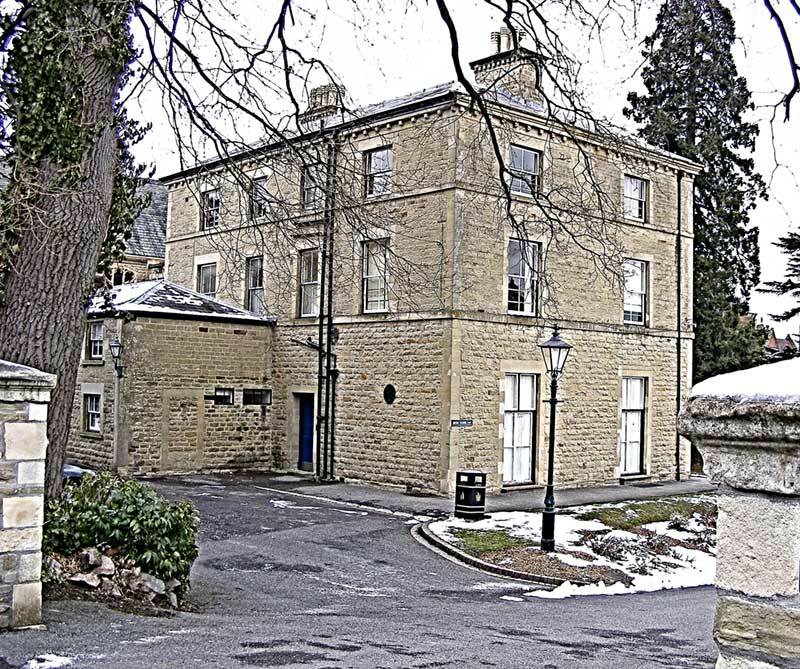 It is thought that Dr Marsden's large properties in Great Malvern - Hardwicke House and Elmsdale next door, remained in Marsden family ownership and then that of his mistress and their daughter until about 1905. Dr Marsden had five daughters and a son by his first wife Lucy, a daughter by his second wife Mary and a daughter by his mistress Sabina. However, none of his children married and some died in sad circumstances. 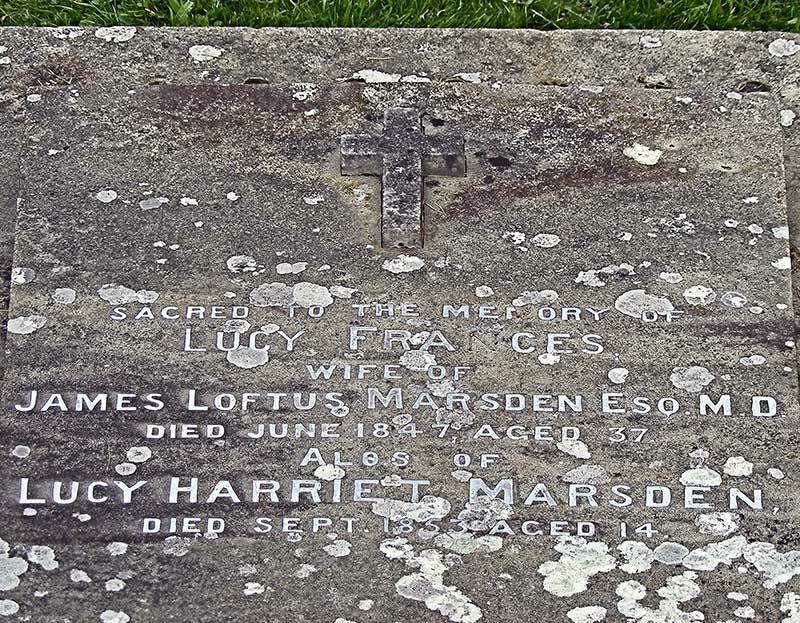 There is some suspicion about the deaths of two of the young Marsden daughters, Lucy and Marian, in 1853 - the children's deaths are explored in a book 'The Water Doctor's Daughters' by Australian author Pauline Conolly who gave a very interesting talk to the Malvern Family History Society. The book (ref 10) was published by Robert Hale in 2013 and locally is available from The Malvern Book Co-op in St Ann's Road and Great Malvern library. It is a good read and provides an excellent overview of the development of the water cure in Great Malvern and the best account we have found of the life of James Loftus Marsden MD. Between about 1850 and 1875 James Loftus Marsden had an extensive hydrotherapy practice in Malvern and must have then been quite an important man, but today he is largely forgotten, as sadly he had no grand children. 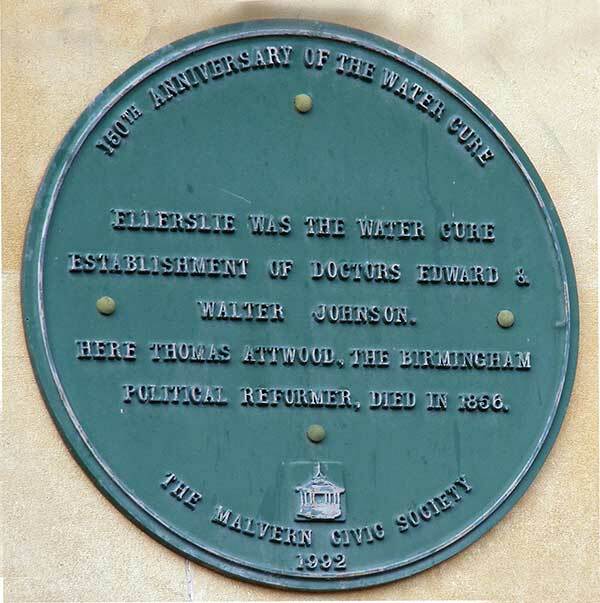 Memories of his time in Malvern seem to have been eclipsed by the careers of Doctors James Wilson and James Manby Gully who have gone down in history as the founders of the Victorian water cure in the town. Only two of Marsden's buildings remain (Elmsdale in Abbey Road and Royds Lodge in College Road) together with a little-read book - 'Notes on Homeopathy, a faded illustration of his water cure establishment, and the memorial to his first wife Lucy Francis and their daughter Lucy Harriet, who are buried in the Priory churchyard. Dr Leopold Juda Stummes was born in Austria around 1809 and came to Malvern about 1849 as an assistant to Dr James Wilson; his story is told by the late Janet Grierson in her book 'Dr Wilson and his Malvern Hydro' (ref 1). The National Archives records that Leopold Stummes, from Austria, became a Naturalized British Subject on 25th May 1850 (certificate 1124). In 1851 he published 'The Union of Hydrotherapy with Homeopathy'. Leopold's entry on the British Medical Register dated 20th October 1859, simply records Juda Stummes, MD, Pavia 1842. We assume he was of Jewish extraction and may have added the name Leopold in order to promote his career. This water-cure establishment, in the beautiful vale of Grasmere, is now in full operation, under the superintendance of Leopold Stummes MD, Member of the Medical Faculty and Society of Physicians of the University of Vienna, Honorary Member of the Faculty of Medicine of Pavia and Naples, and late Physician to the Right Hon the Earl of Lichfield, during his Lordship's long stay at Graefenberg, where Dr Stummes studied the water cure for a year and a half, under Priessnitz, and from where he has just arrived, and may be consulted at the establishment every day. For a prospectus apply to L Stummes, MD, St Oswald's, Grasmere, near Ambleside, Westmorland. This business venture was probably not a success, as a guide book relates that there was a cluster of lodging-houses, called St. Oswald's, where a Hydropathic Establishment struggled on for a time but found the Westmorland winters too long for invalids! A Post Office Directory records Leopold in Malvern by 1849 but gives no address. The 1851 census records him staying at a hotel in Cheltenham, whilst in 1861 he was a lodger at Abbey Villa and a neighbour of water cure Doctor James Loftus Marsden, who was then living at North Abbotsfield in Abbey Road. We did not find Leopold in the England and Wales census of 1871 and he next appears in the 1881 census living at the Imperial Boarding Establishment in Croft Road, Torquay, where, probably retired, he was recorded as a physician, born Hungary about 1811. 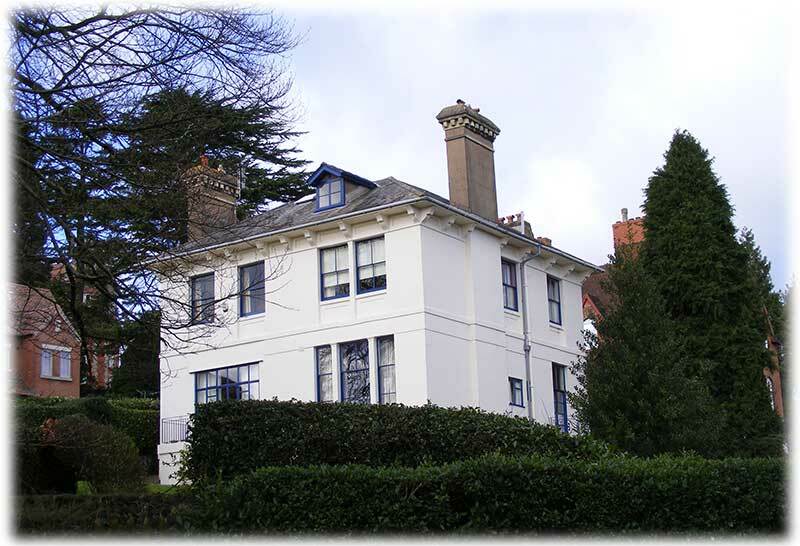 Richard Metcalfe suggests he might earlier have had a medical practice at Ash Hill House, Torquay (ref 11); though we have found no evidence of this. On 4th Inst at Craiglands, Ilkley, Yorkshire, Dr Leopold Stummes, aged 73 years, formerly of Malvern. Possibly he was staying at the Craiglands Hotel at the time of his death. Head Master - The Rev Arthur Faber MA, Fellow and Tutor of New College, Oxford. Arrangements have been made for commencing the College Buildings so that they may be opened for the reception of pupils during the summer of 1864. For prospectuses and shares apply to the Hon Secretary, from whom any further information can be obtained. Malvern College first opened during the snow of January 1865 to two dozen boys and half a dozen masters, not many months after the planned date. Between about 1867 and 1905 Radnor House was the home of banker Christopher Dove Barker (1829-1905) and his wife Alice Gray Elmslie (1835-1918) who had nine children. The building was then acquired by Malvern College, extended and is now a boarding house. Alice was the cousin of the architect, Edmund Elmslie, who designed the Imperial Hotel opposite Great Malvern Railway Station, now a girls' boarding school, Malvern St James. We know little about what Leopold Stummes MD did after leaving Malvern but suggest that his chief legacy was in helping to form the Malvern College Proprietary Company and the arrangement of its financing. Dr Edward Johnson (1801 - 1867), moved from London, where his children were born, and ran water cure establishments first at Standstead Bury House in Hertfordshire (1843), then at Umberslade Hall near Leamington Spa in Warwickshire (1846), before coming to Malvern in the 1850s. 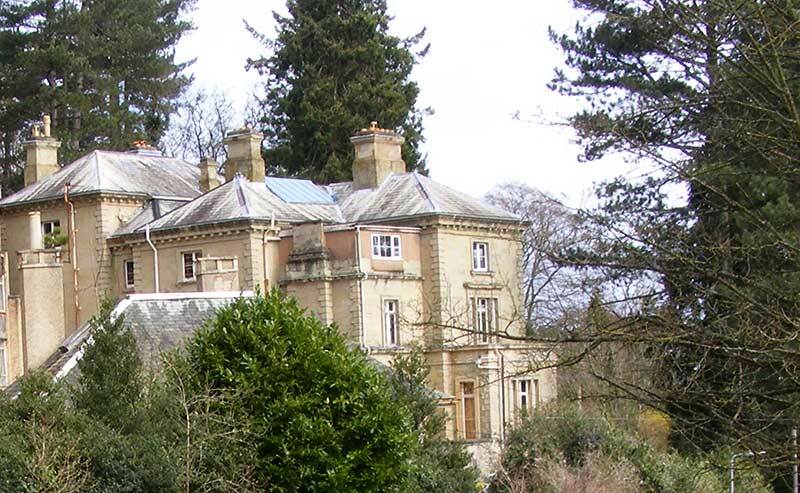 The Stanstead Bury House hydro had been started in 1841 by Joseph Weiss, who moved on to manage the Sudbrook Park hydro near Richmond; plagued by ill health he died abroad in 1847. Edward Johnson had earlier published 'Domestic Practice in Hydropathy' the purpose of which was to enable poor people to follow the principles of hydropathy at home. His first water cure establishment in Great Malvern was at Ellerslie in Abbey Road (see photo below). 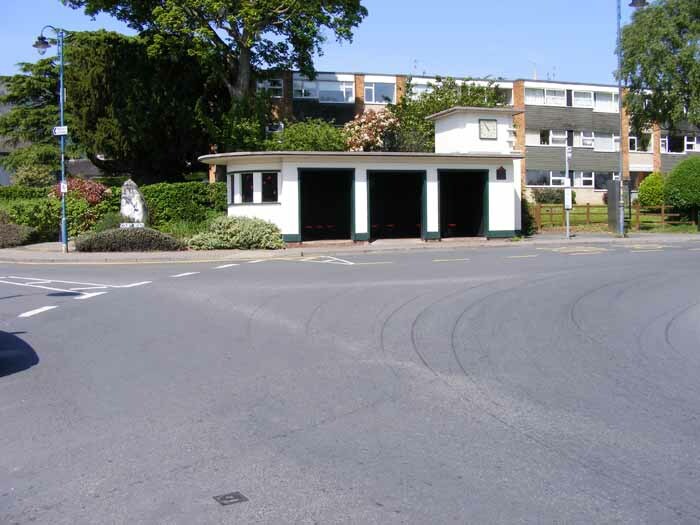 He then moved across the road to a large five story property named Malvernbury. His son Walter took over the business following his father's death in 1867, which was the same year Dr James Wilson died. In the foreground, behind the shrubbery, you can just make out the roof of the lodge beside the entrance to Ellerslie on which there is a green plaque. Ellerslie was the water cure establishment of Doctors Edward and Walter Johnson. Here Thomas Attwood the Birmingham political reformer died in 1856. Thomas Attwood 1783 - 1856 was the first Member of Parliament for Birmingham. Despite Thomas Attwood being a frail old man, opponents of the water cure attempted to discredit hydropathy, on account of his death. Ellerslie seems to have reverted to a private residence after the water doctors left. In 1871, Albert Hudson Royds was living there, after whom Royd's Lodge, of Malvern Freemasons, was named. Circa 1900 James Atkins a retired manufacturer was living at Ellerslie; previously he had lived at Hampton House in College Road. In 1911 widow Julia Colt was living there. 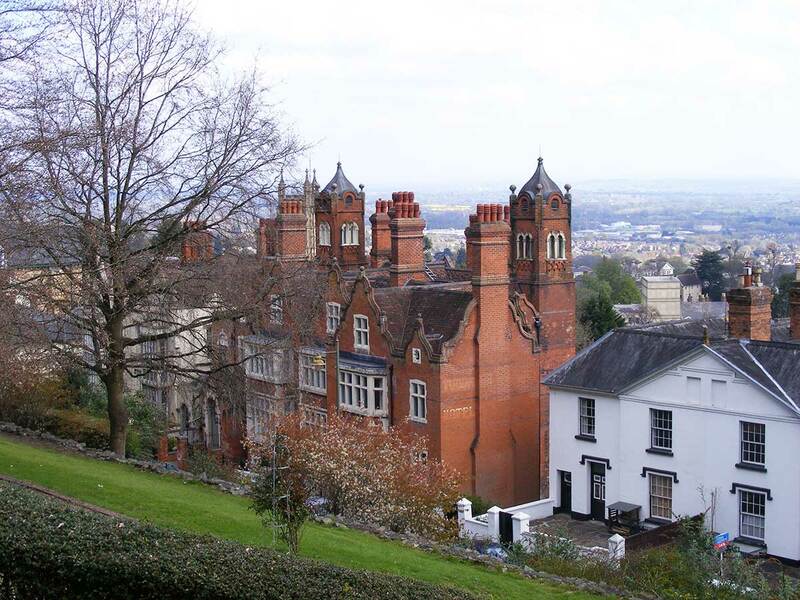 In the twentieth century Ellerslie became a well known school for girls, finally merging with Malvern College in 1992. In 2012 planning permission was granted by the MHDC for the site to be developed as a retirement village and, after some delay, work began in 2015. Dr Walter Johnson married in 1867, South Tidworth Hampshire, Mary Ann Sophia Young, the daughter of the Rector of Risley in Bedfordshire by whom he had four children. Re-opened by Dr Walter Johnson. Patients and visitors now received on winter terms. The 1881 census records Walter and Mary living at 'Bury' House in Abbey Road which was almost certainly Malvernbury, and an 1887 edition of the BMJ, listing doctors registered in Worcestershire, confirms that Dr Walter Johnson was at Malvernbury. When Mary died in 1888, Walter Johnson retired to Kensington in London to live near his younger brother Horace Edward Johnson MD. Malvernbury was then acquired by Malvern College and used as a boarding house until 1906. 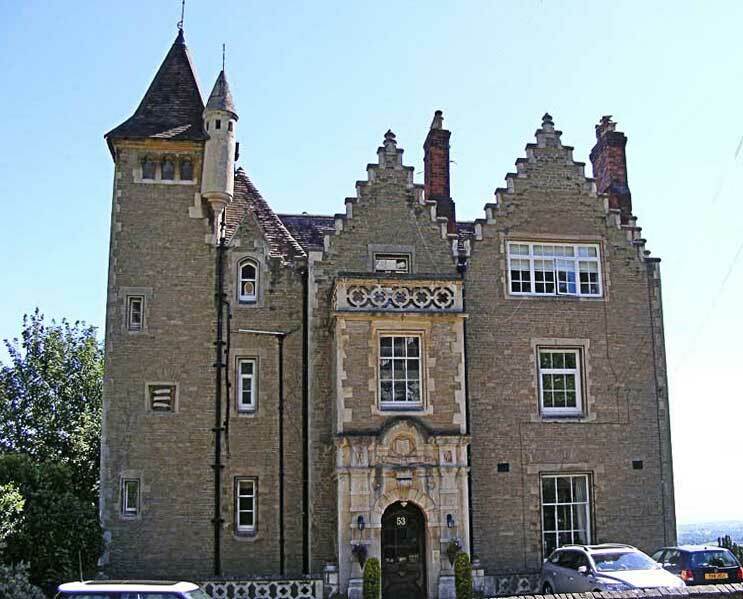 The present Malvernbury, 61 Abbey Road, by A Hill Voysey, 1907, is a smaller property, set below Abbey Road between Hardwicke House and the junction with College Road and is not the original five storey building where Dr Edward Johnson and his son Walter practised. In 1907, Malvernbury was rebuilt, possibly for solicitor, William Dyson Perrins, grandson of the founder of the Worcestershire Sauce business - in 1911 his wife Kate Perrins and son Meredith Dyson Perrins were living there. Malvernbury later became a nursing home and after that closed the site was purchased by a development company, which we have been told is named Crystalight Ltd. 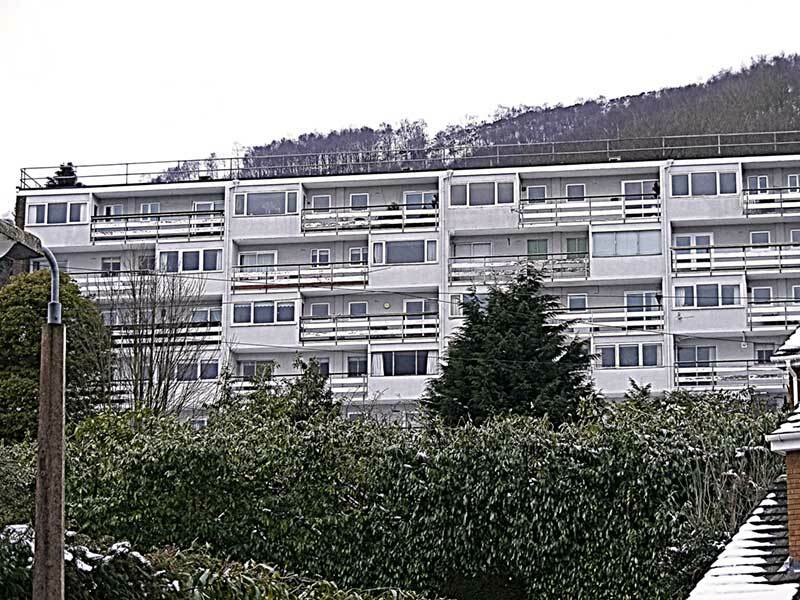 The photo below shows Malvernbury after renovation in March 2017, which is now divided into rented apartments. Steel uprights around a steep drop to the right of the picture suggests further development on the site is planned. Malvernbury is well situated on high ground above Malvern College. In his day Edward Johnson was probably one of the better known water doctors, but now he seems largely forgotten. Perhaps he is most remembered in the literature which records the visits of Florence Nightingale to Malvern for rest and recuperation. We are told that there was once a plaque on Malvernbury recording that Florence Nightingale had been a visitor at that spot between 1857 and 1860, but we have not seen it. 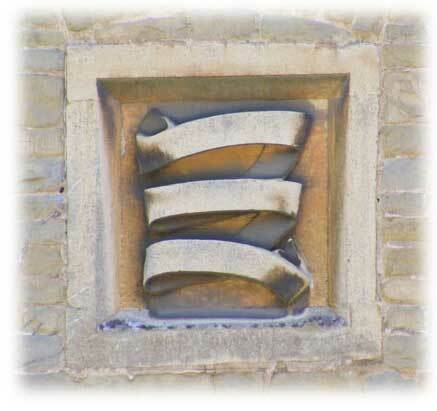 Probably the plaque was removed during recent modernisation of the property. Dr Thomas Rayner ran the Hydropathic 'Establishment' for 24 years following the death of its founder James Wilson MD. See photo of Thomas opposite, source: Rayner family Album. Thomas was born at Bedworth, Nuneaton, Warwickshire about 1826, the eldest child of schoolmaster John and Ann Rayner. His father John died aged only 52 years on 14th September 1847 and the Parish of Bedworth burial register records that John Rayner was for 22 years master of the National School. His mother Ann then worked as a schoolmistress and finally as matron of an almshouse before she too died at Bedworth in 1862. Thomas is first recorded in Malvern in the 1851 census, in which he is recorded as a Medical Assistant, lodging at the home of Frances Clewes, a grocer's wife. Thomas Rayner was admitted to the UK Medical Register on 1st January 1859; MD Edinburgh 1858. On 7th September 1859, at St Mary Charlbury, Thomas married Mary Sophia Franks, the daughter of a music teacher in the registration district of Chipping Norton, Oxfordshire (ref 13). Thomas Rayner, late of 14, Upper Temple Street, in the city of Dublin in Ireland, and now of 11, Old Quebec Street, Portman Square, in the county of Middlesex, Doctor of Medicine, having been adjudged bankrupt under a petition for adjudication of Bankruptcy, filed in Her Majesty's Court of Bankruptcy in London, on 16th day of November, 1861, a public sitting, for the said bankrupt to pass his Last Examinations and make application for his discharge will be held before Edward Holroyd Esq the Commissioner for the said Court, on 24th day of January next, at the said Court at Bassingball Street in the city of London at twelve of the clock at noon precisely the day last aforesaid being the day limited for the said bankrupt to surrender. We did not find Thomas Rayner or his wife in the 1861 census, but his son Herbert Henry Rayner was born in Malvern later that year. Thomas's mother-in-law, widow Mary Franks, was also in Malvern in 1861, boarding at Lansdowne Crescent in the home of physician James Williams. Thomas is thought to have then worked on his own account at Clydesdale House in Malvern Link, until about 1864 when he joined James Wilson MD at Park View Hydro, taking over the 'Establishment' after Dr Wilson's death in 1867, in partnership with James Wilson's son Henry Grattan Wilson MD. This partnership was dissolved a year later on 29th September 1868, after which the business was continued solely by Thomas (ref 4). In 1868 Thomas Rayner became a Freemason, joining Royds Lodge, as did James Wilson's son Henry Grattan Wilson, and Rev James Fisk, vicar of Great Malvern who had conducted the burial service for James Wilson. Hydropathy, Malvern, Dr Rayner's Establishment (formerly Dr Wilson's). The dry, equable climate of Malvern renders it a most desirable residence for invalids in winter; and in numerous cases the water treatment is even more efficacious at this season than during the warmer weather. Prospectus on application. The 1871 census confirmed the head of the Hydropathic Establishment as Dr Thomas Rayner, MD Edinburgh. He was still at the Hydropathic Establishment in 1891 when he died. It is with unfeigned sorrow that we chronicle the death of Dr Rayner, who for many years held the responsible and honourable position of principal of the well known Hydropathic Establishment founded by Dr Wilson, one of the early practitioners of the Hydropathic system. Dr Rayner came to Malvern about 37 years ago, as an assistant to Dr Gully, who at that time had a very extensive practice and drew patients from all quarters. After being for some time in the service of Dr Gully, the young man left Malvern for a season, but returned after no long absence and commenced practice at Clydesdale House. He subsequently joined Dr Wilson junior at what has long borne the distinctive appellation of 'The Establishment', and on the retirement of Dr Wilson, he took the entire charge of the same. It is no derogation from the reputation of any other Hydropathic establishment to say that the definite title which was assumed was justified by the marked success which it achieved. From year's end to year's end an unbroken chain of patients visited 'The Establishment', and those that once came for treatment never failed to repeat their visit when medical aid was again needed. The duties of so large and important a place rendered Dr Rayner a busy and crowded life and might well have excused his taking part in public matters connected with the town. But Dr Rayner in 1888 sought and secured a seat on the local board, mainly, we believe, with the object of promoting a scheme for a better supply of water. He has lived just long enough to see a Bill passed in furtherance of the project, but the work of carrying out the scheme has fallen from his hands. Till lately Dr Rayner had appeared to be in fairly good health, but he has for some months suffered terribly, and it became evident to those about him that something was seriously wrong. The symptoms indicated the necessity of an operation, and this was performed last Sunday. At first favourable results were anticipated, but they were not realised. On Tuesday afternoon, at the age of 65 years, his spirit passed away to the unchanging state – 'the undiscovered country from whose bourne no traveller returns'. Dr Rayner was deservedly respected and beloved by all classes of his fellow townsmen, for his genial, gentle and pleasing bearing. He was unshowy and unostentatious; but those who knew him know well his charitable disposition and thoughtful generosity, while the remembrance of his many deeds of kindness will cause his memory long to live in the affectionate esteem of a large circle of friends. The funeral took place this (Friday) morning. The late Janet Grierson includes a brief account of Thomas Rayner's life in her book about James Wilson and his Malvern Hydro (ref 1) and suggests his death may have been caused by cancer of the bowel, which was then a terrible disease as there was no effective treatment. 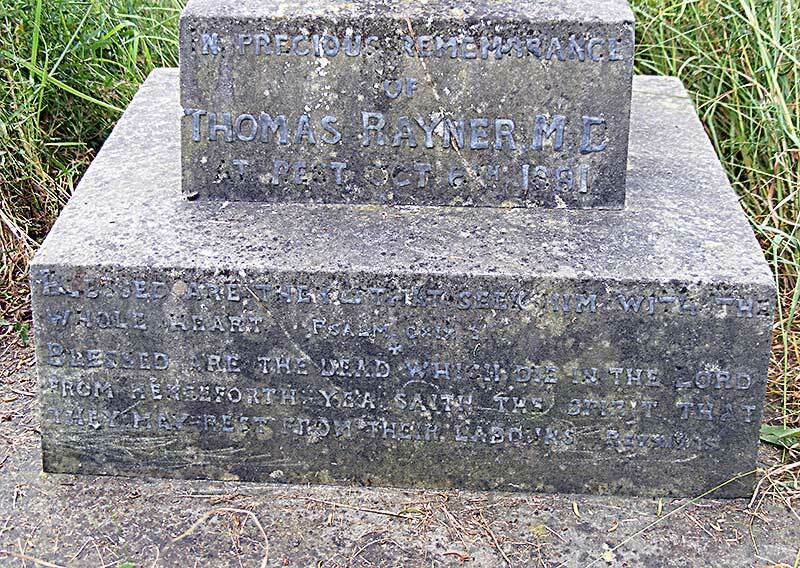 Thomas Rayner, Doctor of Medicine, aged 65 years, of the Establishment, Abbey Road, Malvern, was buried on the 9th October 1891 in plot 1603. The burial service was conducted by Rev I Gregory Smith. A board in Great Malvern Priory records that Rev Isaac Gregory Smith was vicar of Great Malvern between 1872 and 1896. Thomas Rayner's memorial can be found, partly hidden by long grass, on the right side of the path as you walk from the Wilton Road entrance to the chapel. (See photo left: source Rayner family album). We are very fortunate that a descendant of Thomas Rayner has been able to tell us more about the family (ref 14). Herbert Henry Rayner (1861 - 1930), see photo opposite, did not aspire to become a barrister, or a doctor like his father, and he emigrated from England to farm in the USA, later moving to New Orleans where he loved the Parisian atmosphere and married Alice. In 1881 Herbert Henry Rayner had been a student at Caius College, Cambridge. 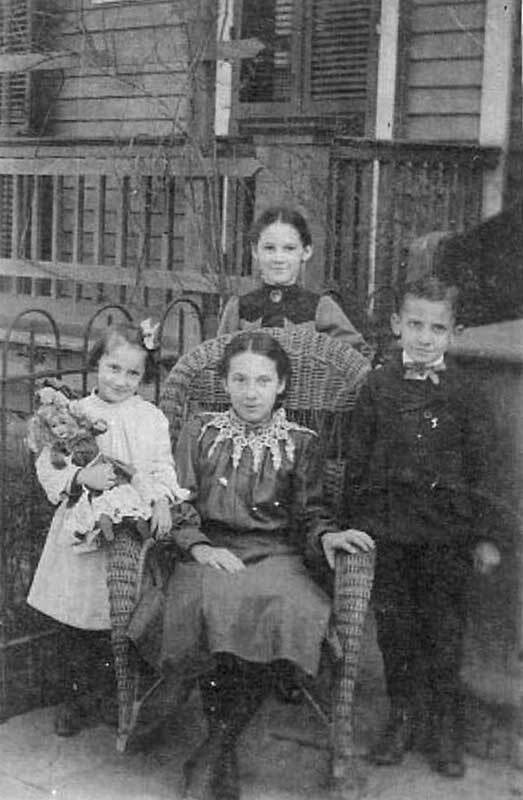 The couple had a son and three daughters, see photo opposite taken in front of their home in Canal Street, New Orleans before the Great War. In the photo are Marie to left, Adele in the chair, Clarisse behind the chair and Sydney. 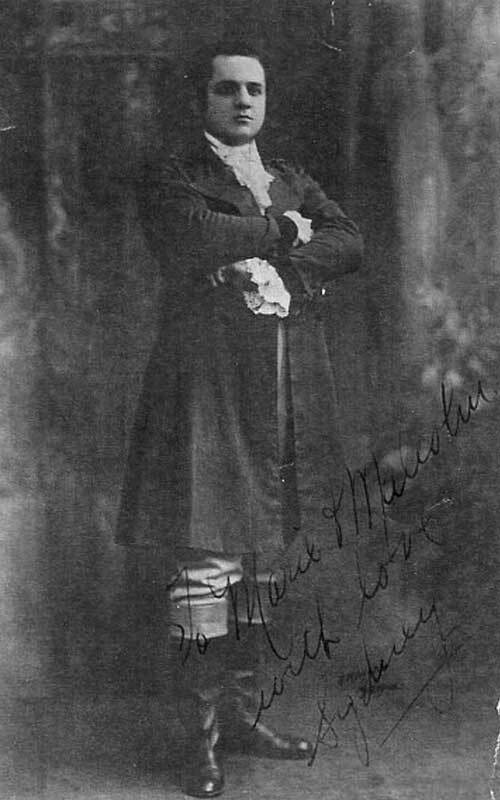 In later life Sydney Rayner, grandson of Thomas Rayner MD, became a famous opera singer, possibly inheriting the musical talent of his grandmother's family. He sent the photo opposite to his married sister Marie Sherfy and her husband Malcolm. In addition to his son Herbert and grandchildren in the USA, Thomas Rayner had three daughters and grandchildren in the UK. The 1891 census records widow Constance Ann, the eldest sister, at the Hydro in Great Malvern with a son, Edmund Haydn, born Smyrna, Asia Minor, Turkey about 1886. We don't know what became of Edmund Haydn, but possibly he died in Derbyshire aged only 16 years. Nor do we know who Constance's husband was, but we wondered if he could have been Edmund Haydn, the son of a Professor of Music, who lived in Smyrna. Do let us know if you can tell us more about him. The photos below may be of Constance and possibly one of her husbands since the photos were taken by the same photographer; however another possibility is this could be Constance's sister Beatrice and her husband surgeon Charles John Paterson (source: Rayner family album, ref 22). In 1893, two years after her father's death, at Portsea Island, Constance married, second, Edward Cecil Rich, the son of banker Joseph Rich. Edward was born in Scotland in 1857, and baptized in London. His parents had married in India, where his elder brother Joseph was born. The 1871 census records Joseph and Edward boarding at Cranbrook Grammar School in Kent. In 1891 aged 34 Edward became a Freemason joining Berar Lodge in Bombay, where he is described as an 'Agent' of Shegoan, where cotton was traded. Constance and Edward do not appear in the 1900 and 1911 England and Wales census and so were most likely living abroad; a 1929 passenger list records them returning to England from Indonesia. Edward died at London in 1931 and Constance at East Molesey in Surrey in 1949. Constance's executor was her nephew, land agent Kenneth Leslie Paterson, the son of her sister Beatrice. Aimee Gertrude Rayner, the youngest sister, did not marry and she died at Bella Vista, Croyde Bay in Devon in 1926. In some records she is recorded as Annie. Beatrice Mary Rayner was born in Malvern in 1865. On 8th September 1887 at Great Malvern Priory she married surgeon Charles John Paterson (1862 - 1926). He was the son of John Borthwick Paterson, whose family owned chromium mines in Turkey. The vicar of Great Malvern, Rev Isaac Gregory Smith, assisted at the ceremony. John Borthwick Paterson died two years after his son's marriage at Bournabat, near Smyrna on 7th November 1889; he was aged 71 years. His wife Preciosa Henrietta Paterson died at Smyrna on 11th May 1893; they had also lived at Elmstone Hall in Kent. Beatrice and Charles had four children, one of whom married a solicitor, one of whom became a marine engineer, one served in the merchant navy, and one became a land agent. 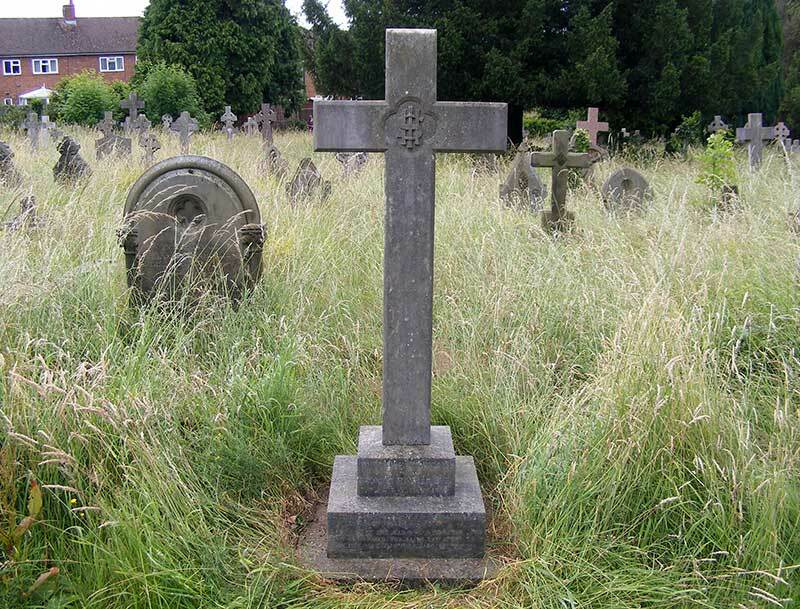 Beatrice died in Derbyshire in 1936, and we are told that she is buried in Great Malvern cemetery, like her parents; but we have yet to locate her grave. Thankfully all her sons survived the Great War. Thomas Rayner had 4 siblings; sisters Ellen, Ada and Emma, and a brother John, of whom there appear to be no living descendants. Ellen, born in 1829, became a governess; we have been unable to trace what happened to her after 1861 when she was working at a school in Fulham. 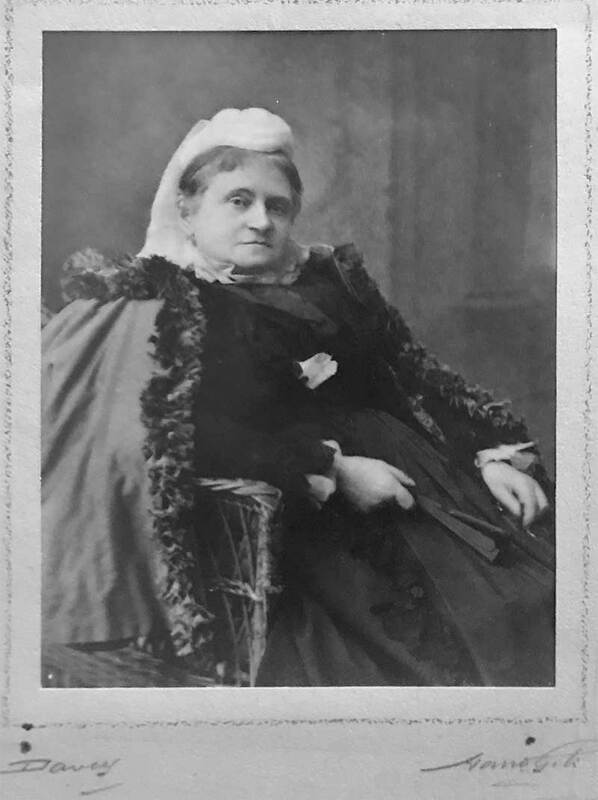 Ada (1831 - 1902) married in 1876 at Great Malvern Priory, photographer Frederick James Loft, the son of clergyman John Loft. They had no children. Emma (1833 - 1912) had earlier married, in 1866 at Bedworth, baker and grocer Robert Moor Brewin. They had no children. John (1835 - 1903) became a medical man like his elder brother Thomas, married, and had a daughter Susanne Caroline Rayner. He appears to have retired early moving to Exmouth in Devon. Following his death his widow and daughter moved to Great Malvern. The National Probate Calendar records that John's widow Susannah Rayner of Chatsworth Great Malvern died at Fairholme Nursing Home on 13th March 1927; Fairholme is now the house named Clanmere in Graham Road. The couple's daughter Susanne did not marry and latterly lived at Marston in Albert Park Road Great Malvern - she died at Birmingham in 1955. It would seem John Rayner MD had named his final home after the town where his elder brother Thomas Raynor MD had been the manager of one of the best Hydropathic establishments in England. 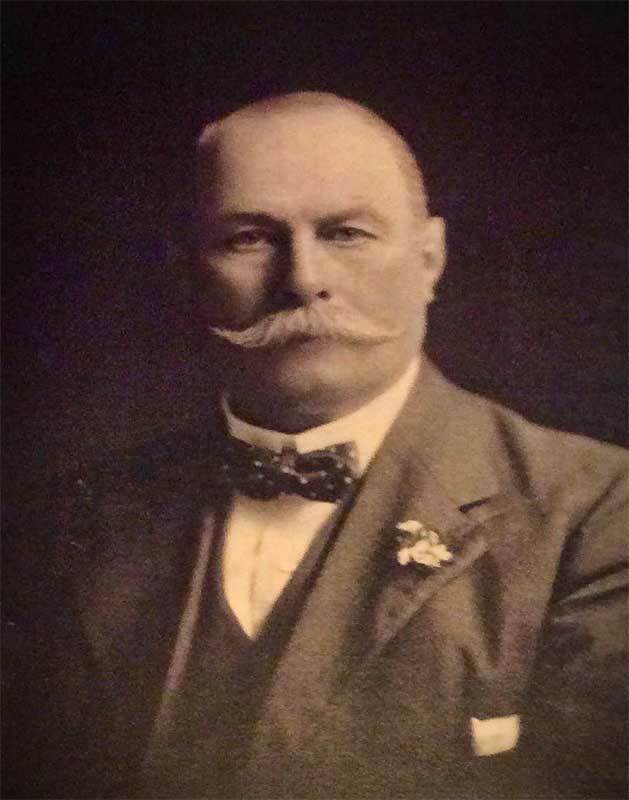 Thomas Rayner MD successfully continued to run the Malvern Hydro for 24 years after the death of its founder James Wilson MD and actively participated in town affairs. He published books about treating skin conditions, and many patients would have benefited from visiting his establishment. Perhaps though, he would have considered his lasting legacy to be his grandchildren in England and the USA. Dr John Campbell Fergusson leased the 'Establishment' when Dr Rayner died, and he and his family were still at the Hydro in 1911. Dr Fergusson first appears in Kelly's Worcestershire Trade Directory of 1892. Some researchers have wondered if he had the medical qualifications he claimed, but he and his eldest son are both listed in the UK Medical Register of 1911. A lengthy report in the Times indicates there was a serious outbreak of Typhoid in 1905. Dr Rayner attempted to sue the Malvern UDC for supplying contaminated water, but it appears a contributory factor was a broken sewer. The resultant scandal, legal fees, claims and loss of business must have cost him of the order of £1m in today's money. You will find a more detailed account in ref 18. 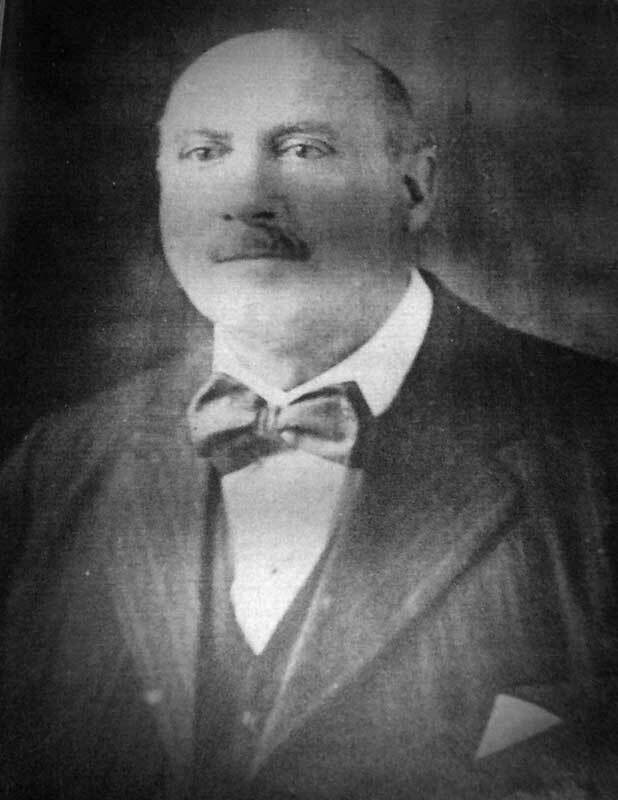 In 1909 Dr Fergusson and his eldest son Dr John Newberry Fraser Fergusson, who were then running the business, were declared bankrupt; and on 21st February, 1920 Dr Fergusson senior of the Hydro, Great Malvern, died. It seems the family had been able to refinance the business and Malvern Hydro Ltd was formed in 1915. Kelly's records that in 1924 Dr Fergusson's youngest son, Captain Louis Roy Fergusson, a survivor of the Great War, was a director of Malvern Hydro Ltd, Abbey Road. By 1930 the end of the road had been reached, and Park View, as we know it now, became the County Hotel, Great Malvern, one of a chain of hotels owned by hotel entrepreneur Lady Constance Mary Honywood (1880 - 1956), daughter of a clergyman, who had the advantage of a very rich husband, Sir Courtenay John Honywood (1880 - 1944), 9th Baronet of Kirby Hall Essex. I am researching my family history, here in Australia, for my paternal grandmother's family (Fergusson). We have in our possession a book titled 'Scotland for Ever' which was produced to raise funds for the Red Cross during World War 1. On the inside cover of this book are two labels, obviously the original packing labels. The first is the address label to my great grandfather, David Mitchell Fergusson Jnr. The label is printed with The Hydropathic Establishment, Great Malvern. The second label would probably be classed as a custom's label, today - the person making the declaration, is JC Fergusson MD, The Hydro, Great Malvern. 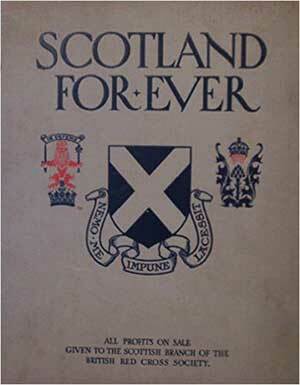 Scotland for Ever (see cover opposite) was a gift-book of the Scottish regiments, published about 1915 by Hodder and Stoughton, for the Glasgow Herald newspaper. 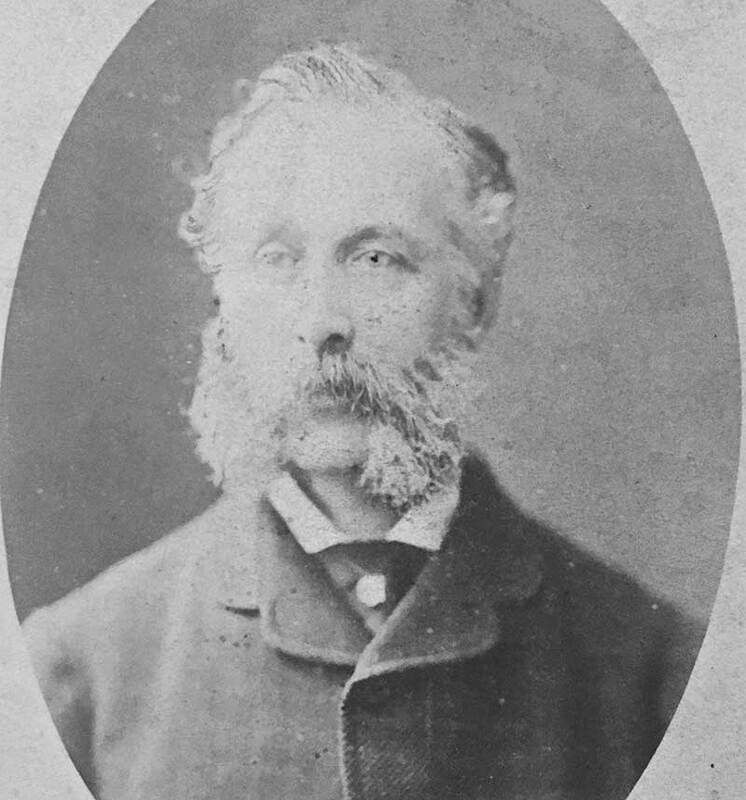 Dr Fergusson's brother, David Mitchell Fergusson senior (1828 - 1910), had emigrated from Scotland to Australia about 1853 where he married Mary Waddell. Since he was dead the recipient of the book would have been his son of the same name. David Mitchell Ferguson of Beechworth, now a prisoner in Her Majesty' s jail, storekeeper. Liabilities, £351. 5s. 1d; assets £323. 18s. 5d. Deficiency, £27. 6s. Official assignee Mr Laing. It is hard to imagine someone being imprisoned for such a small debt nowadays when debts of tens of thousands of pounds can be racked up on a credit card! David Mitchell Fergusson was one of the earliest Victorian colonists, and Ballarat was then a gold rush town. It must have been a challenging and exciting time. In1886 the Australasian newspaper reported that his son, blacksmith David Mitchell Fergusson junior, also had some financial difficulties. He had earlier been lessee of the Williamstown Steam Ferry. FERGUSSON:- On the 17th November, at his son's residence, 'Bonatta', John-street, Mordialloc, David Mitchell Fergusson senior, late of Beechworth, brother of Dr J C Fergusson, Malvern, England, aged 82, Colonist of 57 years. The Fergusson's parents were schoolteacher Peter Fergusson and Margaret Mitchell (ref 17). We have not found the family in the 1841 - 1871 census but a record in the 1851 Scotland census might refer to them. The record refers to Donald M, rather than David, but otherwise reflects the brothers dates and places of birth; the records suggests that their mother, possibly a widow, was then a dress maker in Glasgow, David born Lochgilphead, Argyll about 1828 was a provisions dealer, and John, born Tarbet, Argyll about 1835, was a provision apprentice. John Campbell Fergusson does not appear in the census again until 1881 when he was an Estate Manager living with a wife at Sutherland Villa, Wick, Caithness. He had married at Ferry Hill, Aberdeen in 1880, Christina Mackie youngest daughter of newspaper editor John Mackie who in 1851 had been a publisher employing 7 men and 4 boys. John disappears briefly in 1891, when his wife is recorded in Glasgow with their three sons and her widowed sister Sophia Katherine Smith, and her son John Mackie Coates Smith who became a surveyor. In 1901 and 1911 the Fergussons are at the Hydro in Great Malvern. So where was John Campbell Fergusson between 1851 and 1880; did he sail to Australia with his brother and spend some time there? Another mystery is how having been an Estate Manager in the far north of Scotland, did he come to qualify as a doctor and afford to become manager of the Malvern Hydro? This question is partly answered by a clue in the 1895 edition of the UK Medical Register which gives Dr Fergusson's last known address as Forres, Edgehill. That name is familiar to us, for a great uncle had been manager of the Cluny Hill Hydro at Forres on the Moray Firth and it seems quite likely that Dr John Campbell Fergusson had either worked there or certainly visited the establishment. Possibly also, as a registered doctor, he was able to get a loan from the bank, and obtain support from his father in law. The 1891 Scotland census records that the manager of the Cluny Hydro at that time was Richard Bond born Dumfries about 1855; amongst others, also in residence were James Love Doctor of Medicine (retired), born Ireland about 1845, and William L Laurie Physician (retired) born Dumfries about 1817. Dr John Campbell Fergusson and Christina Mackie had three sons, John Newbery Fraser, Argyll, and Louis Roy, who were educated at Malvern College. John and Argyll went on to St John's College, Cambridge. John Newbery Fraser MRCS, LRCP, FRCS Edin, became a Physician and during WWI served as a Captain with the Royal Army Medical Corps, in France. His son John Douglas Fergusson, born 5th December 1909 in Great Malvern, became a respected surgeon specialising in urology. Argyll Fergusson joined the army reaching the rank of Major in the Middlesex Regiment. Wounded during WWI he became a fruit farmer in Battle Sussex. Louis Roy Fergusson came back to Malvern after serving as a Captain with the Royal Field Artillery, and became a director of the Malvern Hydro. We think he may have earlier worked at Rossall School. He latterly lived at Harrow and we wondered if he became a schoolmaster? More about the history of 'Park View' can be found in an excellent booklet published by Roger Hall-Jones (ref 2); a copy of which is held in Malvern Library. The photo below, taken from Grange Road, shows the rear of Park View as it is now. You can buy an apartment and live there if you want to! By chance we found a great uncle, William Brown, had also been involved with the last days of the water cure in Great Britain. In 1911 he was manager of the Victoria Hotel at Woodhall Spa in Lincolnshire. After serving as a recruitment officer for the Royal Scots Fusiliers during the Great War he became manager of the Hydropathic Establishment at Cluny Hill, Forres, Morayshire in Scotland. Sadly he died of tuberculosis at Forres Hospital in 1923 aged only 49 years. Possibly he had followed in the footsteps of Dr John Campbell Ferguson who had been in Forres circa 1891. In 1851 the Reverend Alexander Munro bought the mansion and grounds at Lochhead, about a mile to the north-east of Aberdeen, and opened a hydropathic establishment there. At the same time, he was also Congregational minister of the small chapel at Skene, some six miles away. He was widely known as Dr Munro though his qualification came, in fact, from a hydropathic college in the United States. Although previously he had successfully completed the required course for medical students at the University of Aberdeen, he was not allowed to graduate as he was already practising as a hydropathist. Lochhead started in a small way with fairly primitive facilities. Showers were taken in a small hut near the house and the stronger patients were expected to pump the water from a stream nearby to a tank on the roof'. But the facilities were gradually improved and in 1857 Munro sold the establishment to a new partner, Dr William Meikle, while continuing to conduct its daily running as superintendent. Andrew Munro then became resident physician at the Cluny Hill Hydro. Aged 70 years, was still at the hydro in 1881, but died in Devon two years later. Managing these hydropathic establishments must have been a difficult business. You might find the regulations of the Cluny Hills Hydro interesting; they remind me of being at school! REGULATIONS. Breakfast at half-past eight o’clock. Dinner at half-past one, and tea at half-past six. On Sabbath, Dinner at a quarter past one, Tea at five o’clock. The bell is rung a quarter of an hour before each meal, and the gong at the time for commencing. Parties take their places at table in the order of their arrival at the establishment, commencing at the lower end. Punctuality in coming to meals is expected. No meals can be served in private rooms within half-an-hour before, or half-an-hour after the public meal. Worship immediately after Breakfast, and in the evening at Nine o’clock. Gas turned off in public rooms at ten o’clock, and from bed-rooms at eleven o’clock, p.m. Patients and visitors are requested to turn off the gas in their rooms immediately after they have done using it, and to be careful to see that it is quite turned off before going to bed. As disturbance when falling asleep is so hurtful to delicate patients - involving the loss of sound sleep for half the night - it is indispensable that perfect quiet be maintained in all parts of the house after a quarter past ten o’clock at night. All talking in lobbies, staircase landings, and rapping of doors, are strictly prohibited. Those requiring evening treatment should retire to their bedrooms at nine. Patients are requested to be prepared for their baths at the hours mentioned by the bath attendants, who take them in the order of their arrival. The bath attendants having to rise early, no service must be expected from them after half-past nine p.m. Visitors are expected to conform to the rules of the House, and are not allowed to bring to table anything forbidden to patients. No Smoking allowed in any part of the establishment. Excursions and picnic parties to places of interest in the neighbourhood are encouraged. For obvious reasons it is expected that on all such occasions strict economy will be observed in the arrangements. It is specially requested that no wines or spirituous liquors be introduced. Those wishing their rooms kept for them during a week’s absence, will be charged one guinea; if absent only a few days, no deduction will be made from the usual weekly charges. Consultation on Monday, Tuesday, Thursday, and Friday, from ten to half-past eleven a.m. Patients admitted in the order of their arrival at the Establishment. Special Consultations at any other hour, by arrangement, as patients may find it necessary. As the hours devoted to consultation are strictly business hours, and as a delay of minutes is a serious hardship to those who are waiting for admission, it is understood that no general conversation can be entered upon in the consulting room, and that the patient is expected to retire as soon as the Doctor has handed the prescription, and ceased asking questions. Accounts rendered on Wednesday. Attendance given in the steward’s room to receive payments from three to four o’clock. The day of arrival is charged as a whole day; the day of departure is free. Patients are recommended to bring with them a blanket, three sheets, and two towels, for bathing purposes. When it is inconvenient to do so, these articles can be had at the establishment for a small charge per week. Harcup John Winsor, The Malvern Water Cure, printed by Aspect Design, second issue 2010. Hall-Jones, Roger, The Story of Park View Malvern, 2nd edition 2012, printed by First Paige. Weaver, Cora and Osborne, Bruce, Aquae Malvernensis, The Springs and Fountains of the Malvern Hills, printed by Aldine Press, 1994. England census 1851 to 1911.